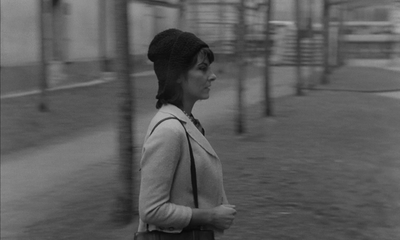 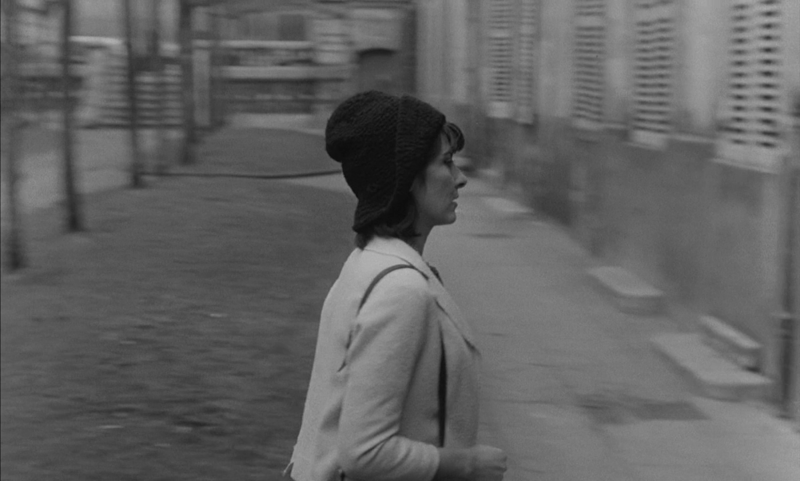 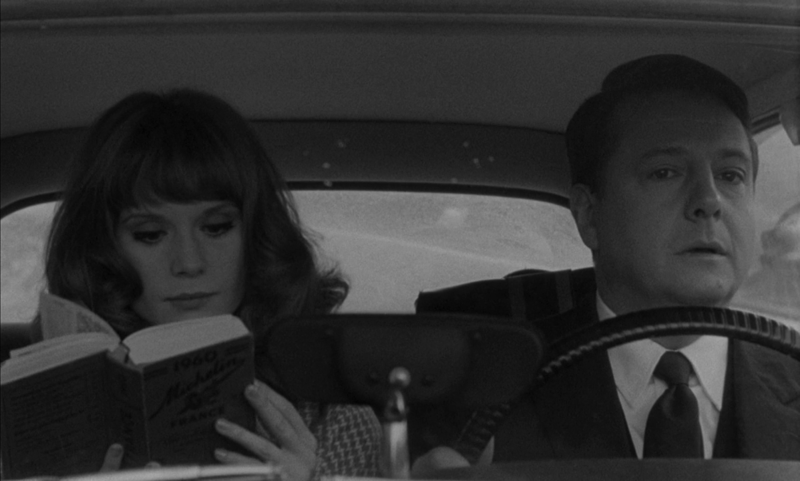 Topographically, Truffaut's fourth feature film is somewhat disorienting. 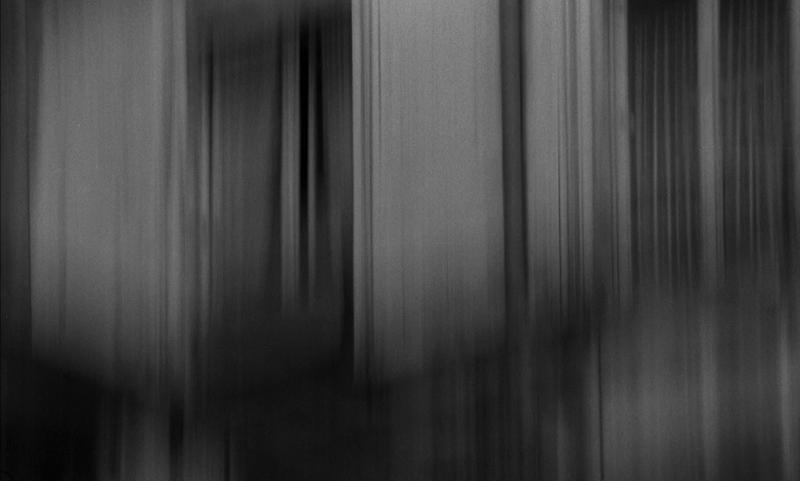 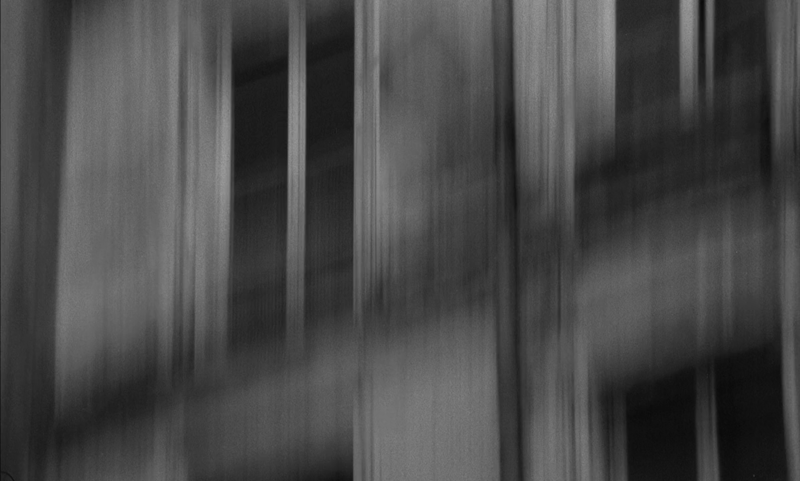 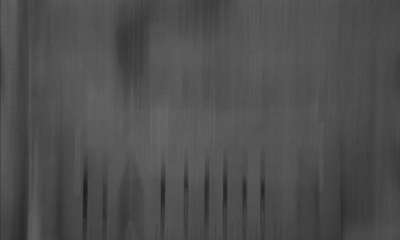 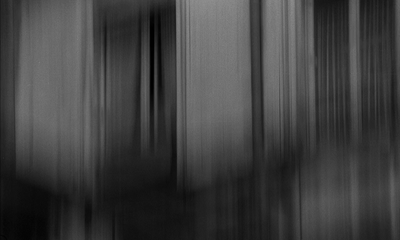 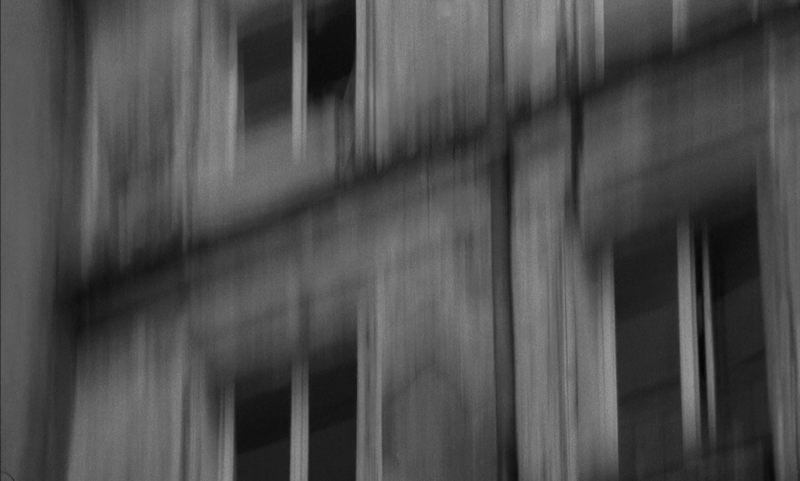 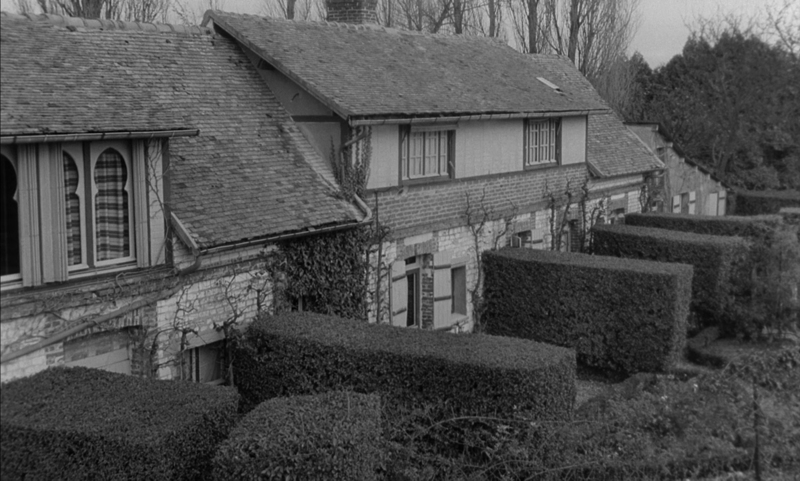 Tom Conley describes it as a 'topography of connections, displacements, and deviations': 'the events of the narrative never quite take place where they are said to happen, and when they do they seem to be in often recognizably disjoined spaces' ('A Psychogeography of Silky Cinephilia', p.458). 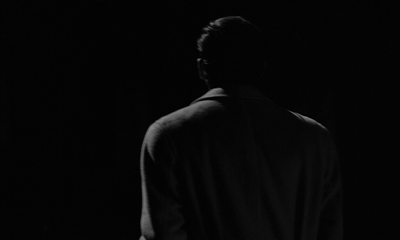 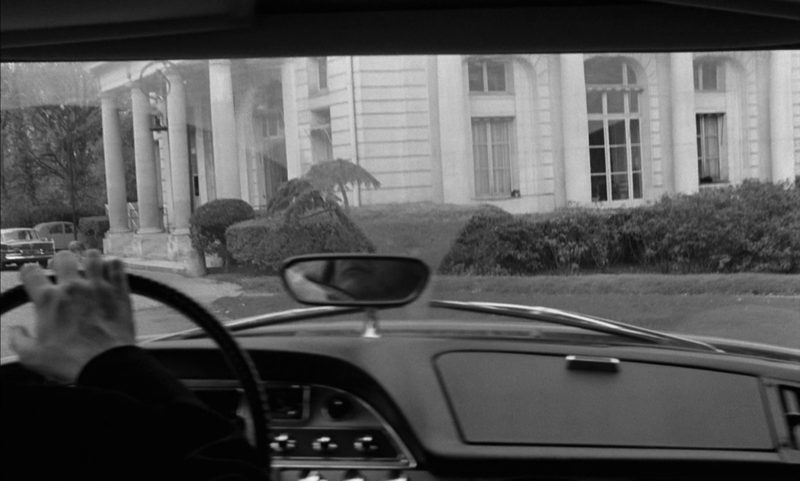 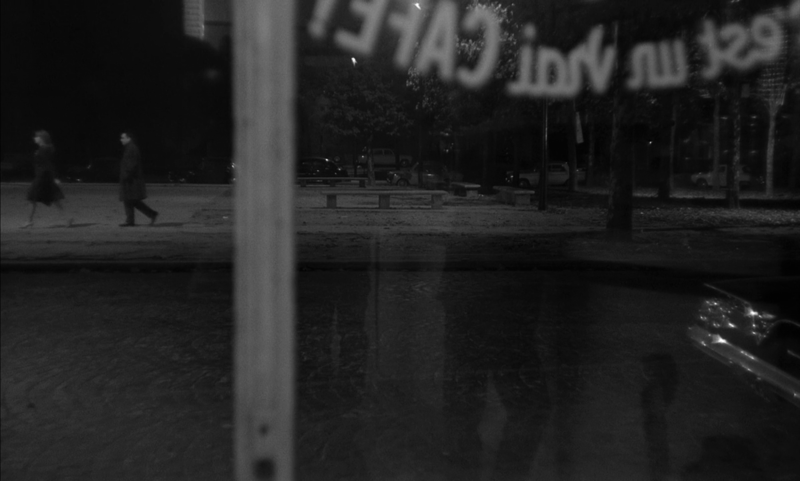 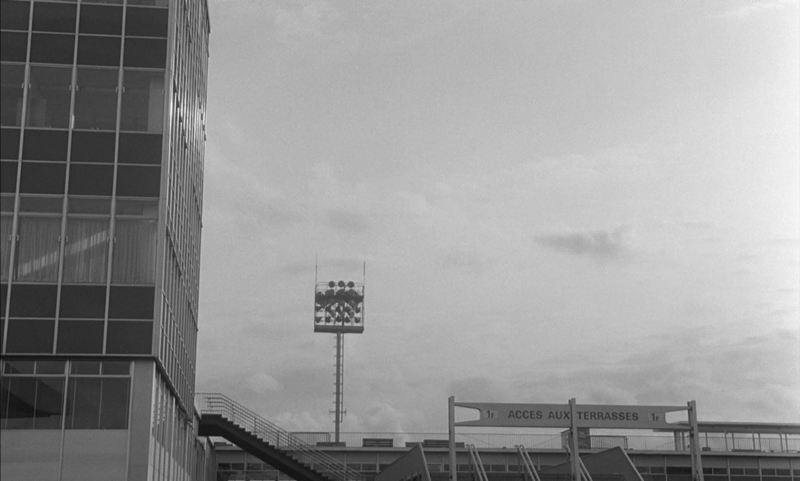 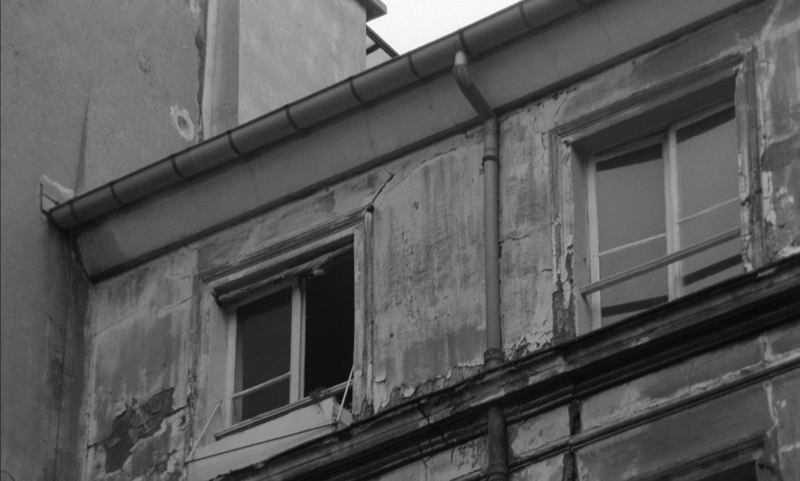 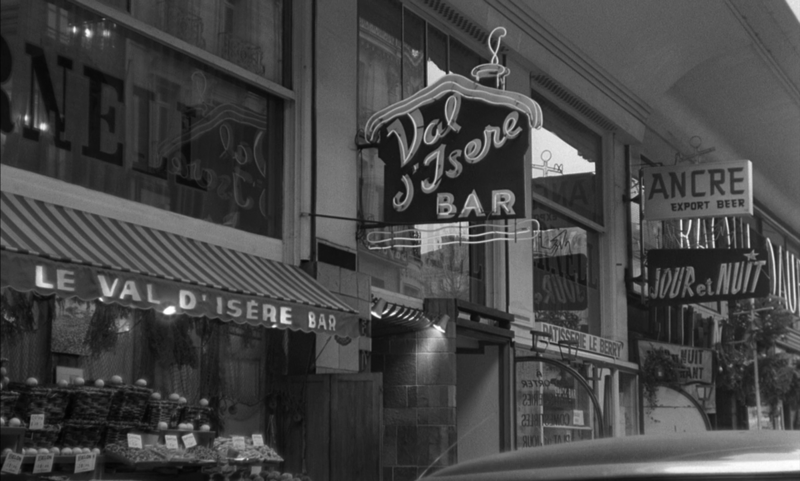 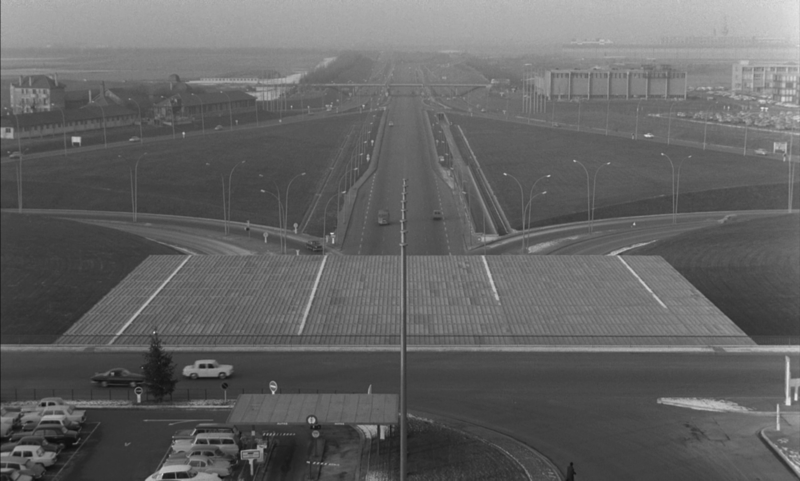 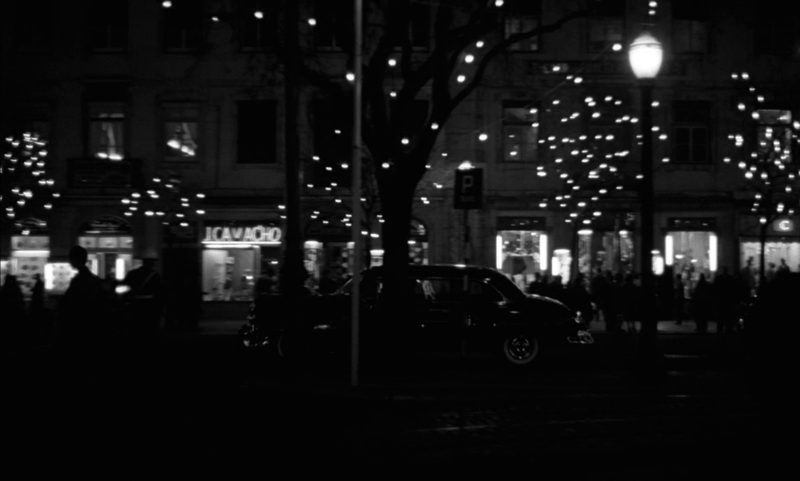 Though the chief interest of this topography for Conley is as ground to the film's subtly cinephilic intertextualities, this post focuses, more prosaically, on the places seen in the film, and chiefly on those in Paris or surrounding suburbs. 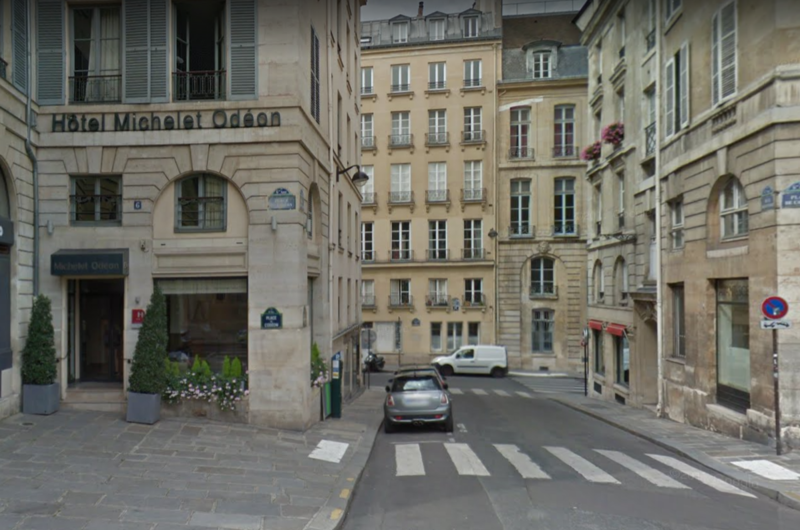 The métro at Passy (ligne 6) is not the nearest to his home - that would be La Muette (ligne 9) - but if he has come from Odéon (where his office apparently is - see below), changing at La Motte Piquet-Grenelle, it is not illogical that he get off at Passy and walk. The topographical anomaly comes between Passy and La Muette. He crosses the street in front of Monceau Fleurs, which was (and still is) on the corner of the Boulevards Malesherbes and de Courcelles, in the 8e, about three kilometres away from Passy métro station. 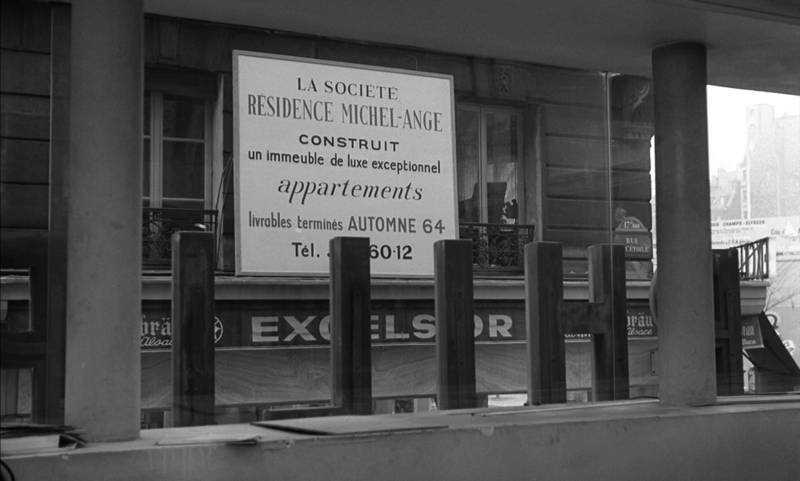 These two locations on the same street combine an intensely exact sense of place - Truffaut's home - and a casual indifference to topographical exactitude. 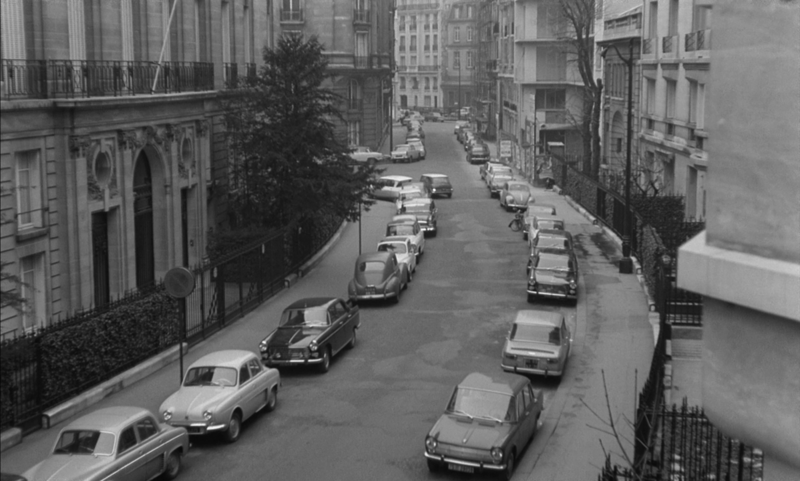 In the first she turns left into the Rue de Franqueville; in the second she is heading east on the Avenue Paul Doumer, passing the Cimetière de Passy; in the third she turns from the Avenue Pierre 1er de Serbie into the Avenue George V, heading up towards the Champs Elysées; in the fourth she turns from the Champs Elysées into the Rue de Berri. 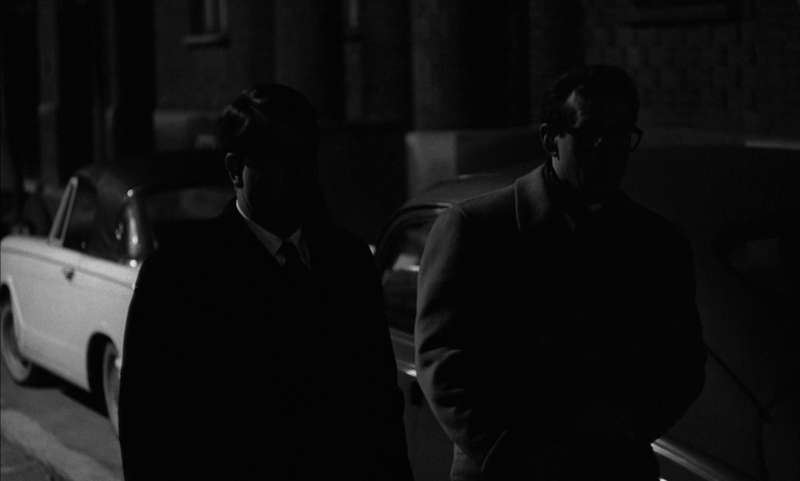 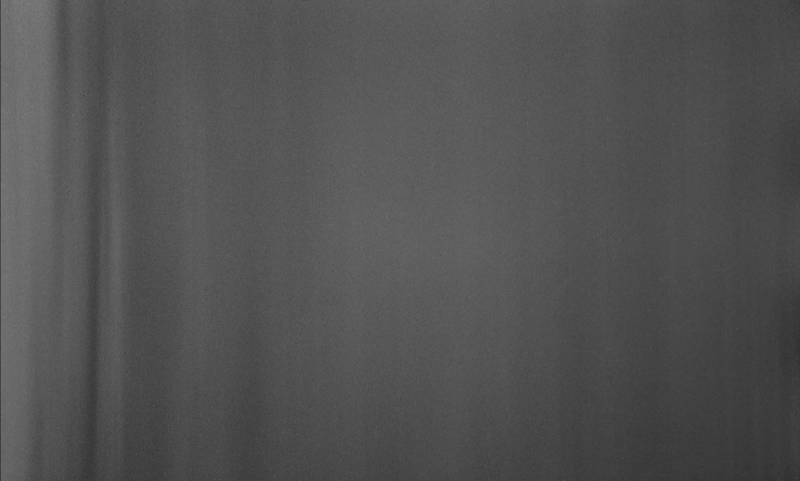 This is more or less the only sequence of locations in the film that is topographically coherent. 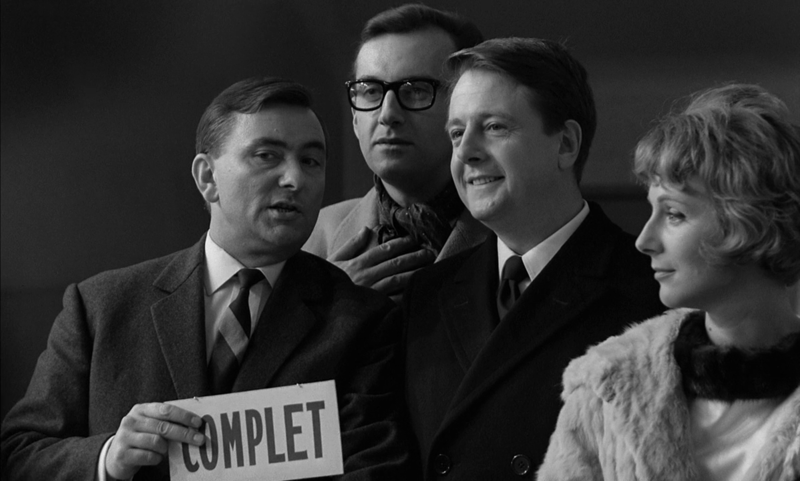 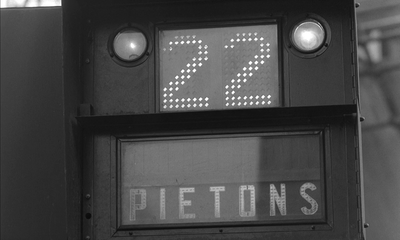 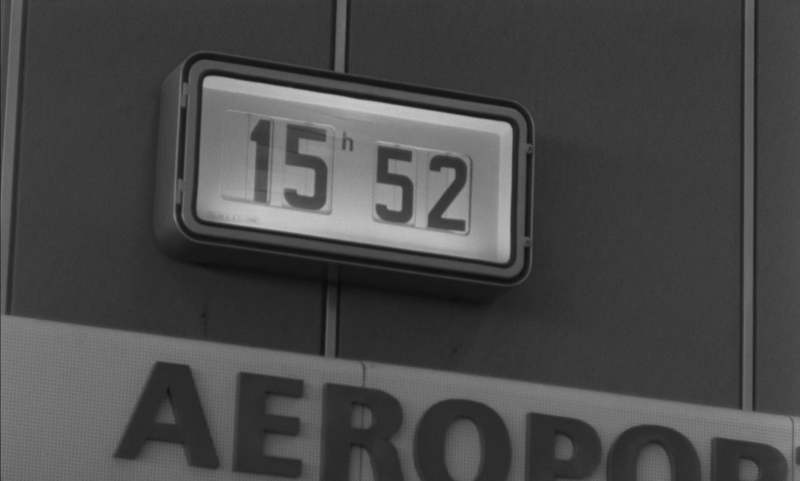 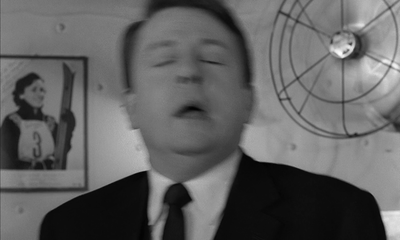 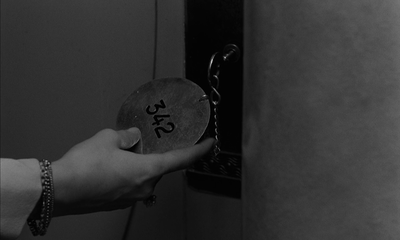 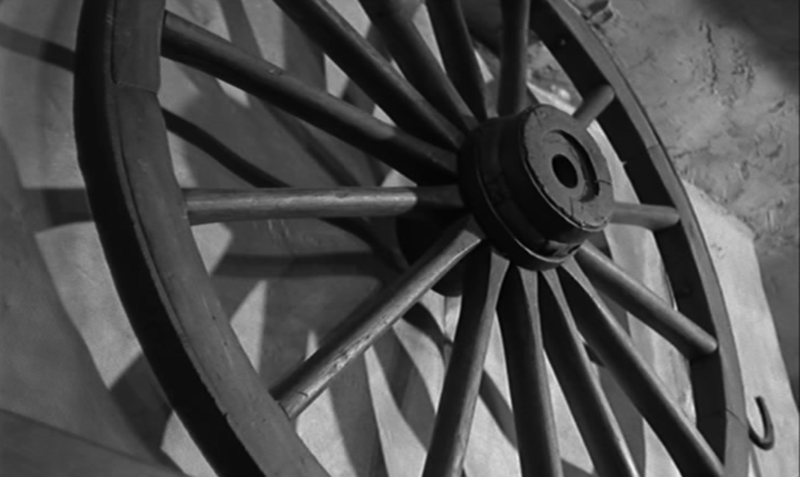 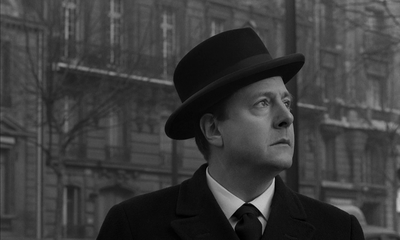 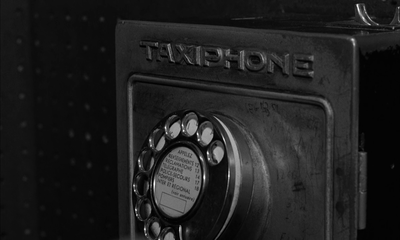 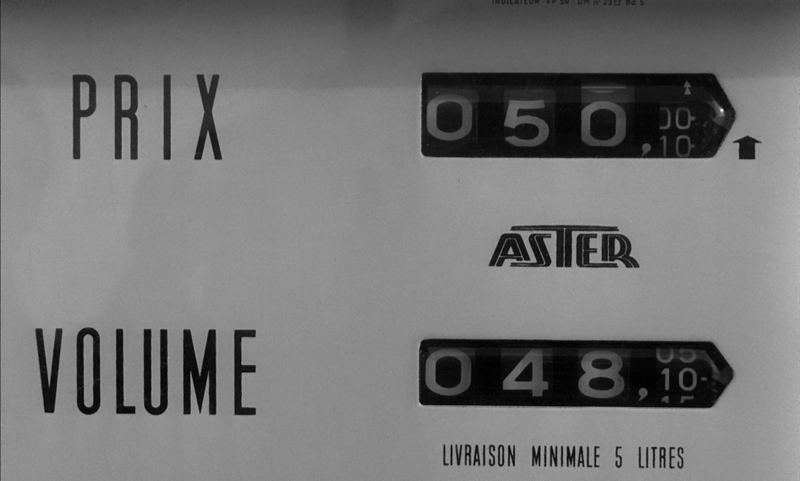 ​The episode set in Reims lasts more than 25 minutes; not a single minute of it is actually filmed there. 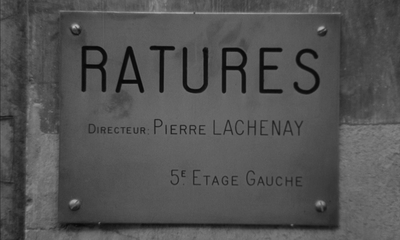 When Lachenay says at the dinner in his honour that 'I've never been to Reims', he is speaking for the film. 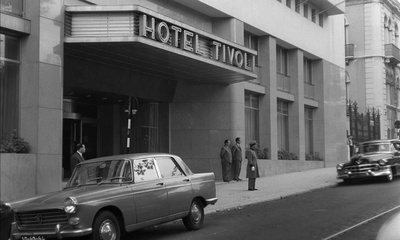 This hotel has its place in cinema history, appearing in Feuillade's first Fantômas film (1913), in Vadim's Le Vice et la Vertu​ (1963), in Jean-Louis Richard's Mata Hari​ (1964), in Chabrol's 'L'Homme qui vendit la tour Eiffel' (1965) and in Chabrol's Betty​ (1992), among others (see here). 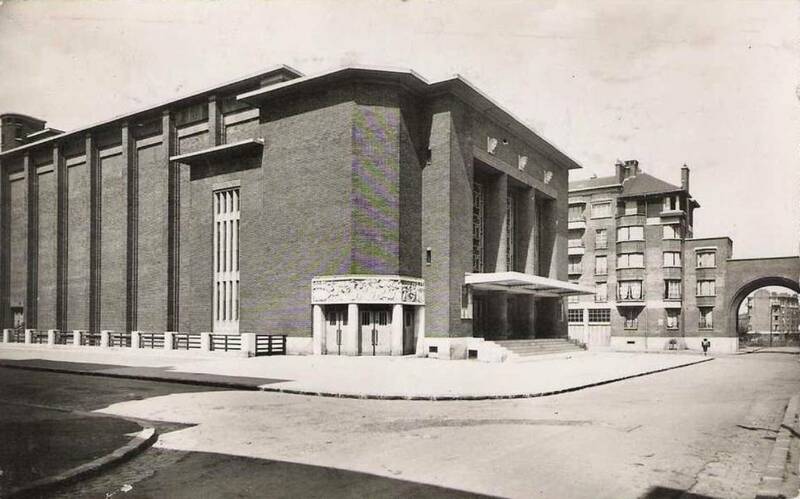 There actually was a cinema in Suresnes called Le Capitole, which suggests to me that the original plan had been to use that cinema - a poster features bearing its name - and that at some point they switched to the 'Centre Culturel de l'Ouest Parisien', not showing its façade so this distinctive and famous theatre wouldn't be recognised. 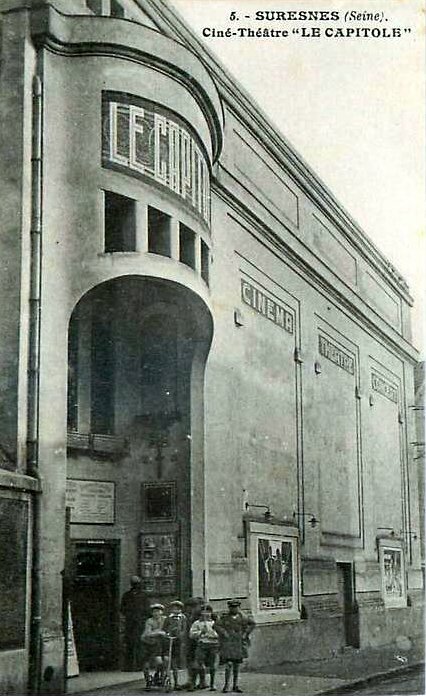 ​The capacity of the Capitole was 900, that of the Centre Culturel 1200, so in either case the fiction that the hall was full for a screening of a documentary about André Gide, even introduced by a famous literary critic, lacks verisimilitude. 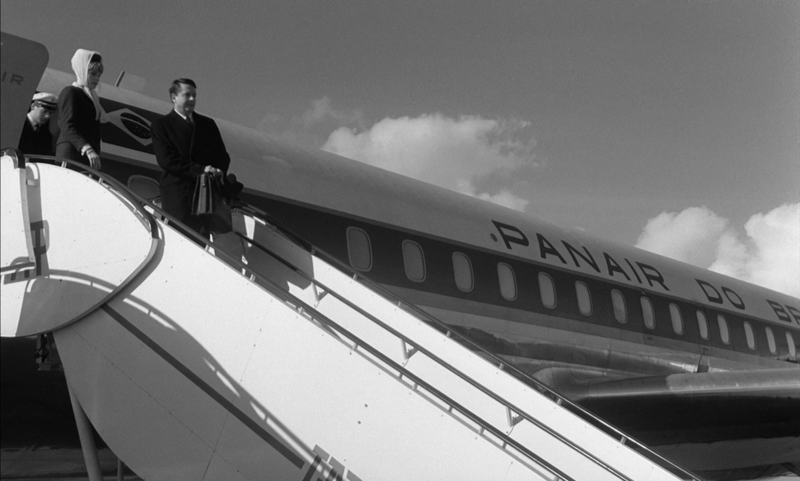 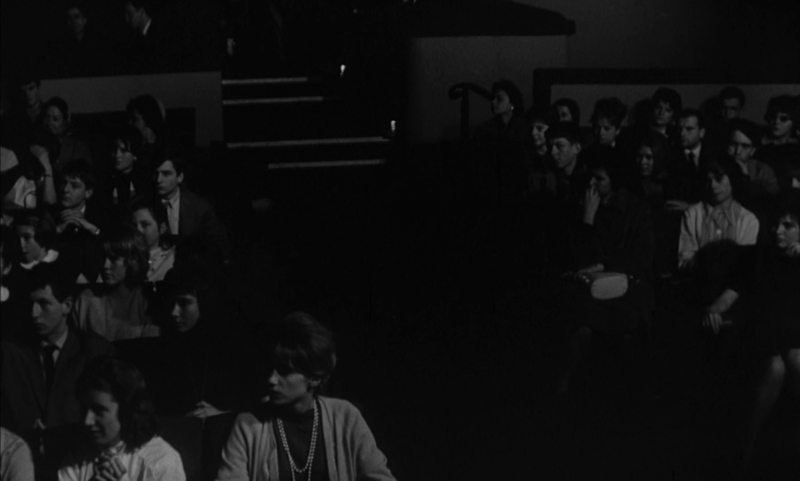 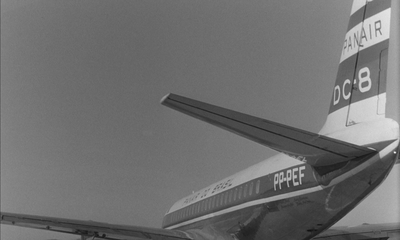 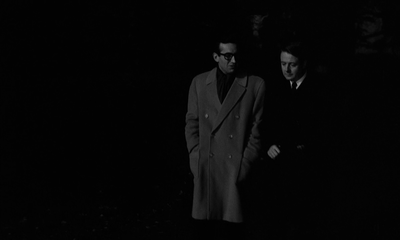 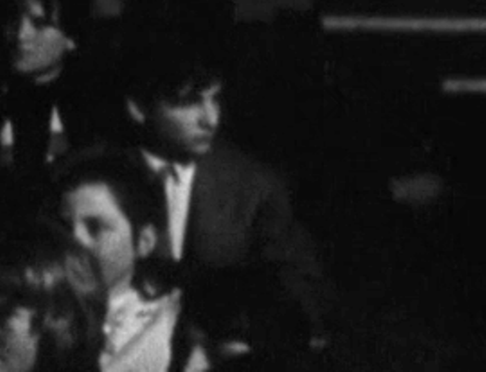 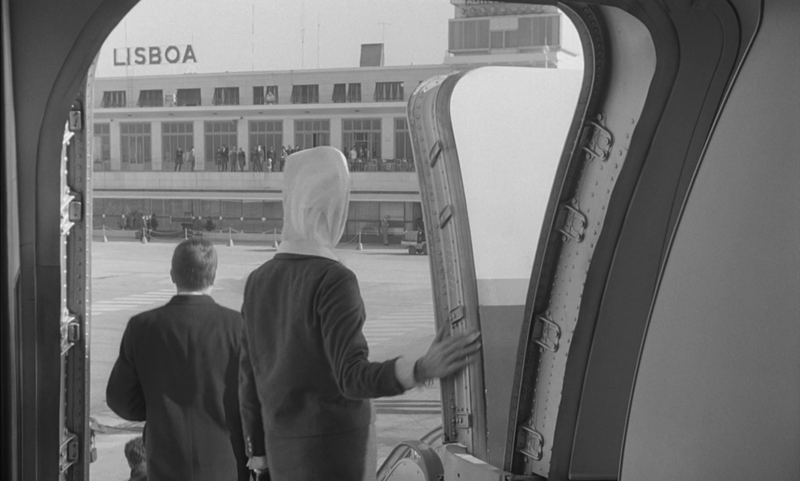 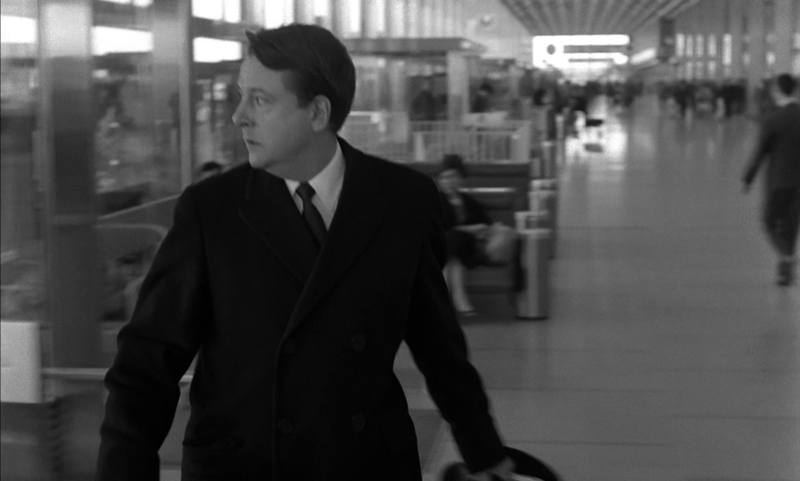 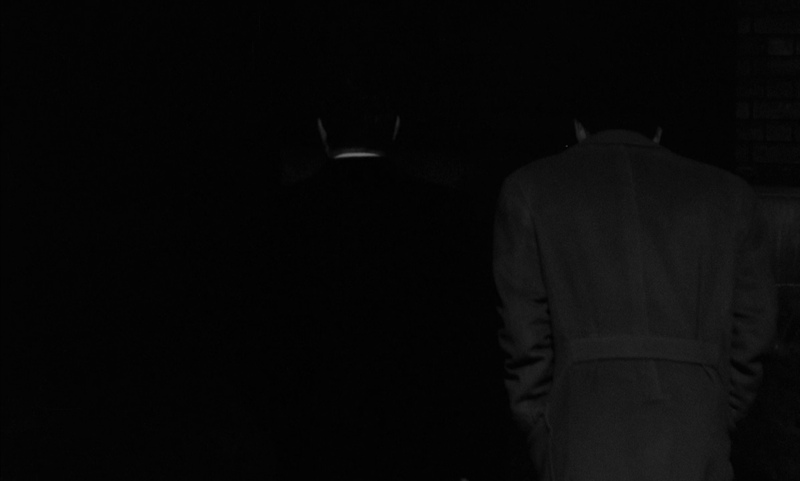 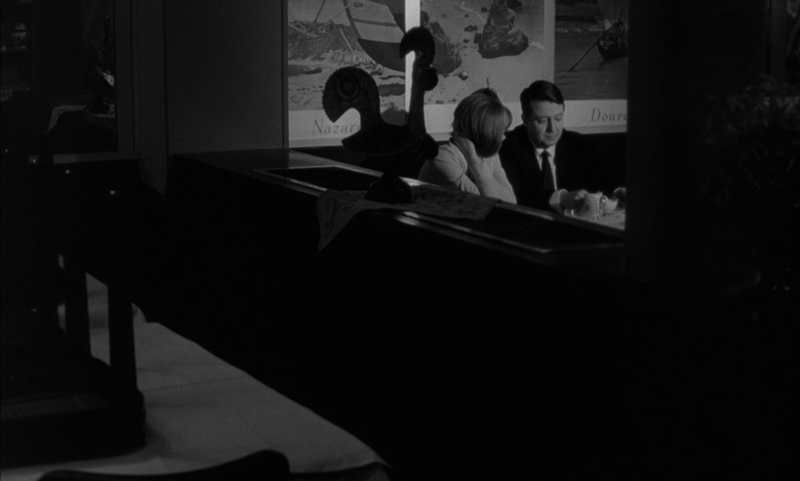 Observant spectators of La Peau douce​ might recognise Antoine Doinel in an aisle seat to the left. 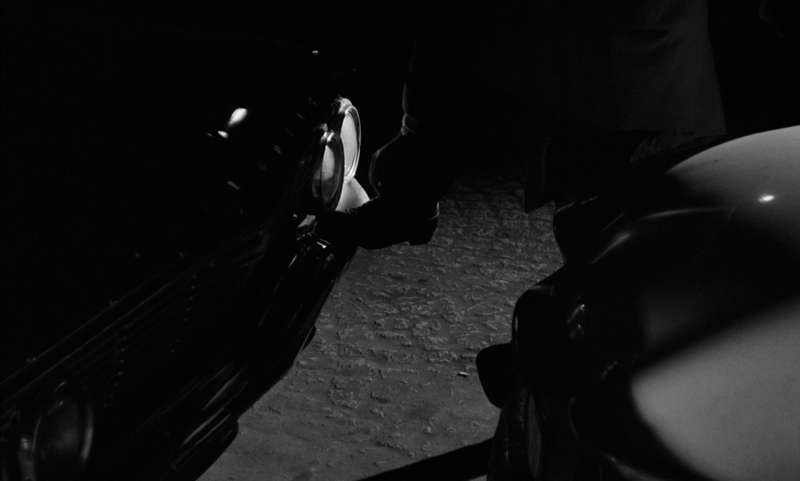 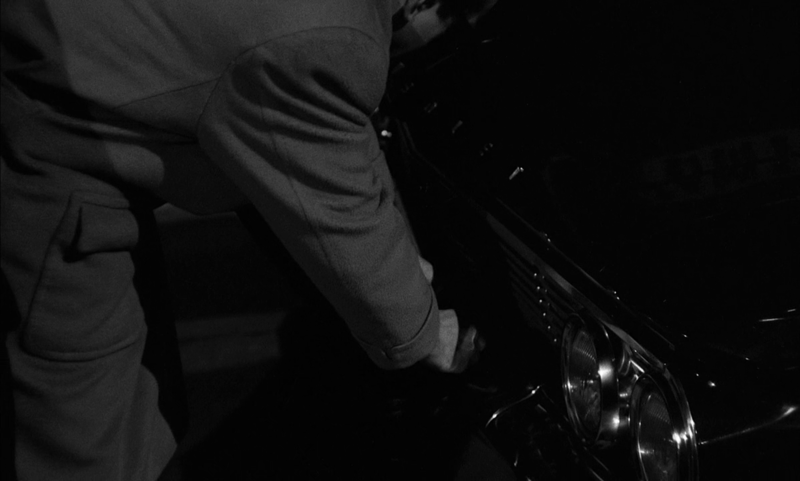 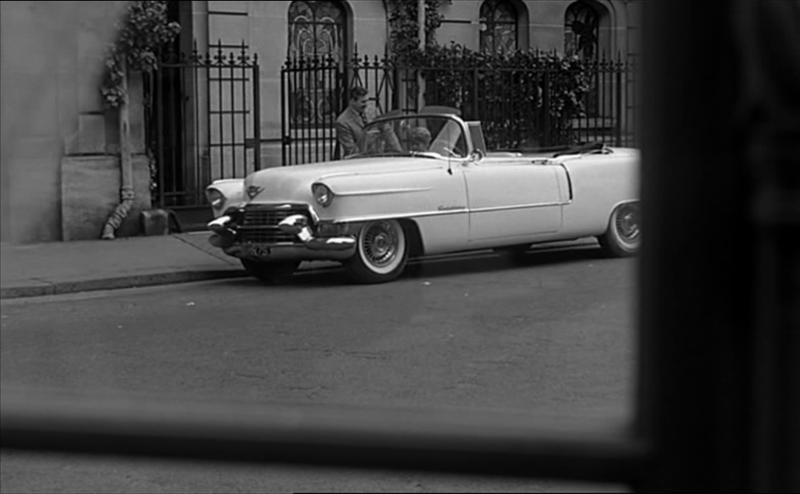 Remarkably, the two cars in the two streets are very similar Chevrolets, a continuity match where a discontinuity mismatch would, in the dark, surely have gone unnoticed. After leaving the 'Hôtel Michelet' in 'Reims', passing the 'Grand Hôtel' as they leave the town, Pierre and Nicole drive to another hotel, with no indication as to where it is supposed to be. 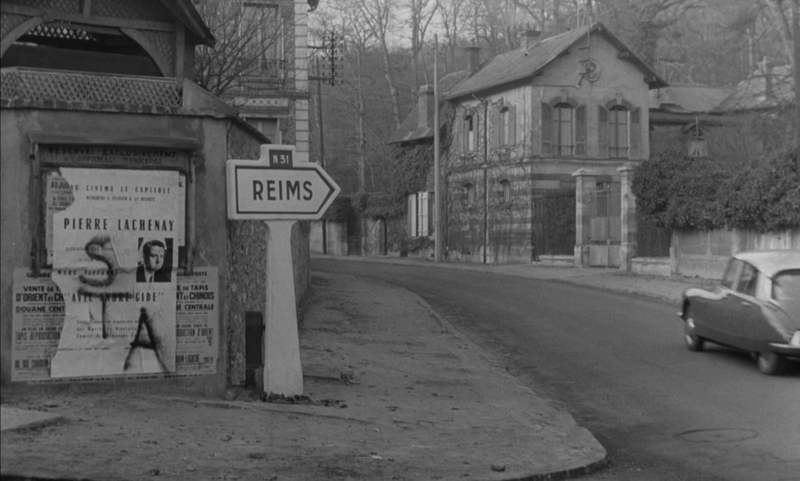 The place we see is a hotel called Les Saisons at Vironvay, near Louviers (Eure) - nowhere near Reims, of course, though not far from locations used in Jules et Jim​. 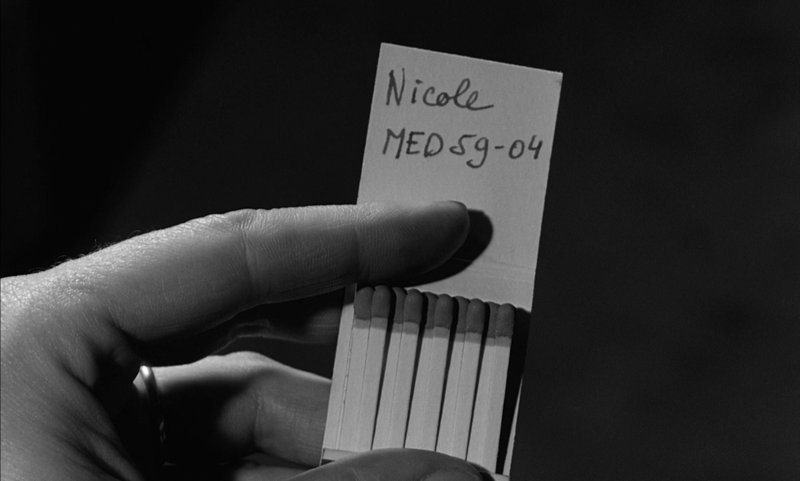 Nicole's home is also composite. 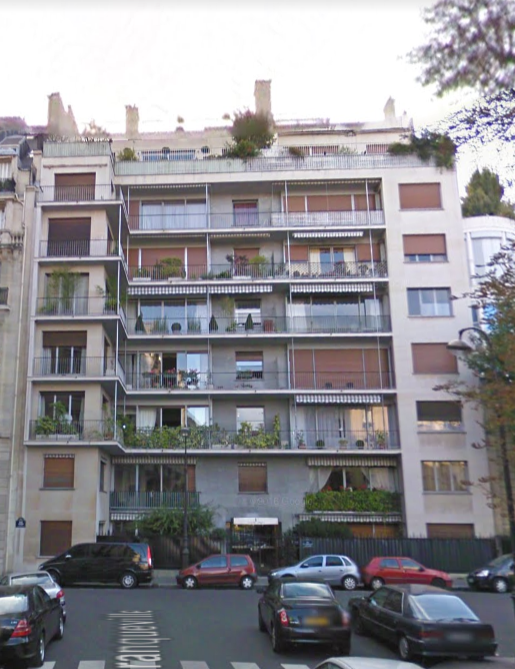 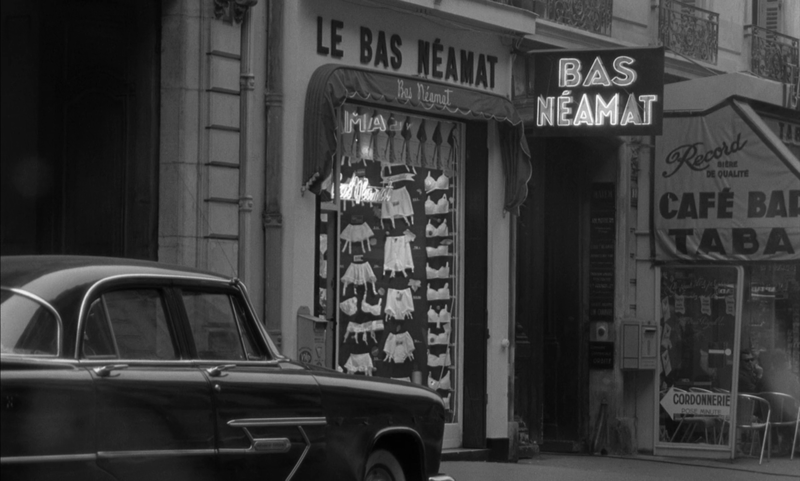 My guess, given those clogs, is that this is Le Sabot, at 2 rue du Sabot, 6e. 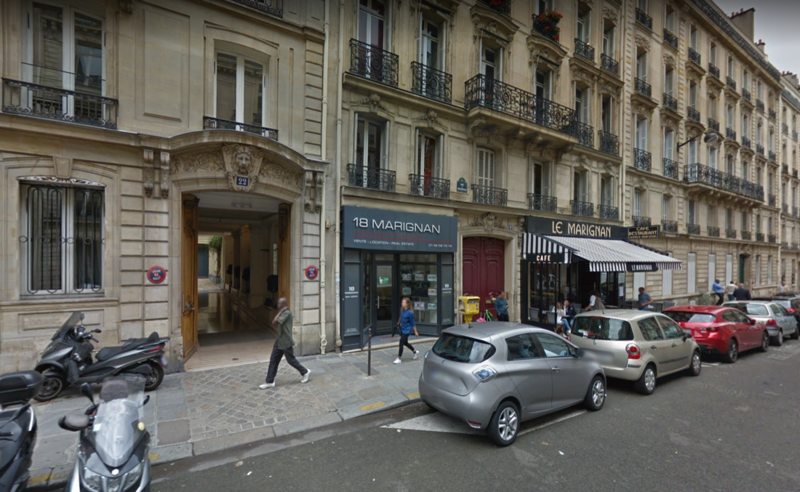 Among the publications on sale here are a Paris street guide, the Michelin guides to Paris and to the Environs of Paris and the newspaper Ici Paris. 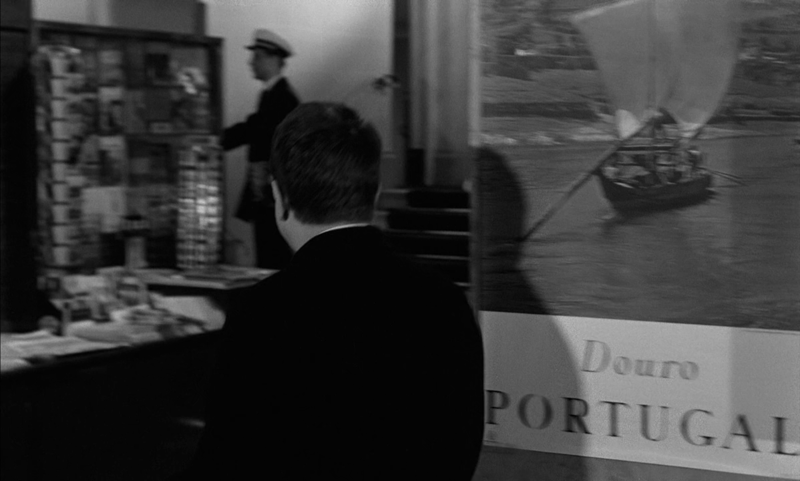 A copy of Balzac's novel Le Cousin Pons​ may have been put on prominent display because Lachenay has come to Lisbon to talk about 'Balzac and Money', but that doesn't explain why this newsstand in Lisbon is selling Ponson du Terrail's Rocambole, Irène Némirovsky's David Golder, Hervé Bazin's Vipère au poing​, Yves Berger's Le Sud​, Michel de Saint-Pierre's ​La Nouvelle Race​ and Robert Buchard's history of the O.A.S., among many other books in French. 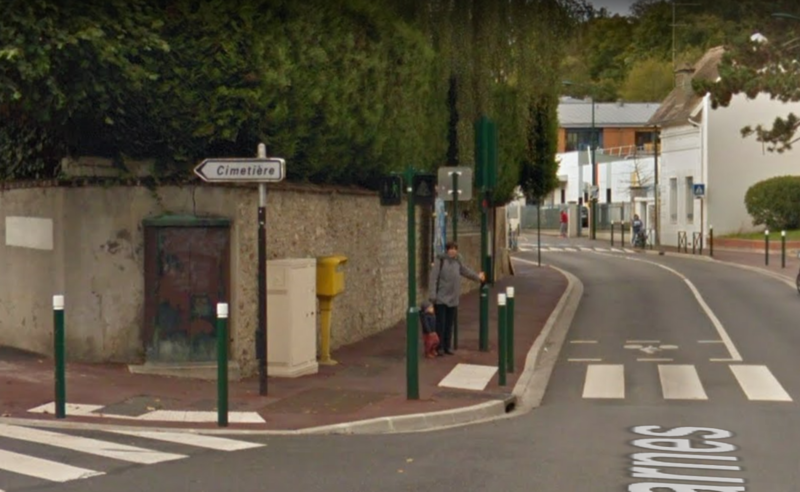 Also, the postcards are all of Paris sights. 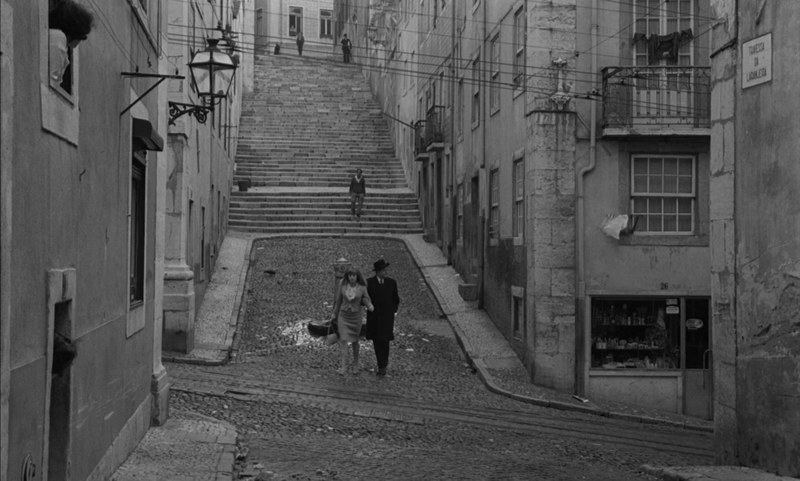 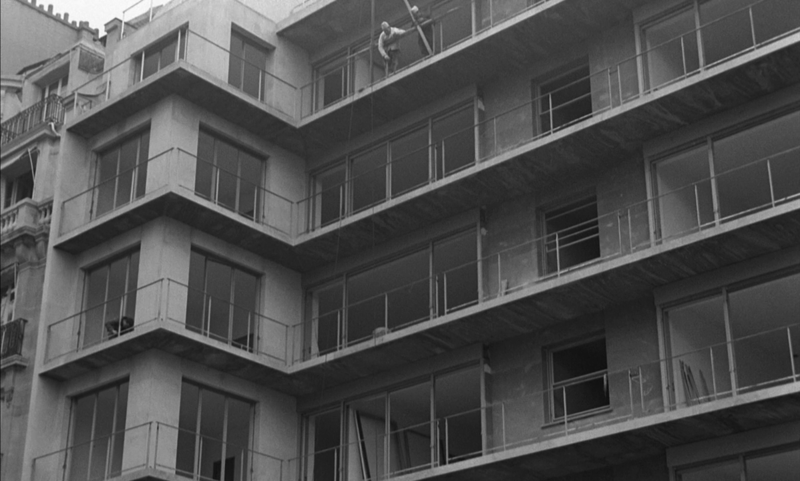 In a 1983 interview Truffaut spoke of the composite construction of locations in this film, though he misremembers almost every element of the Lisbon hotel composition: 'All the settings in the film are natural. 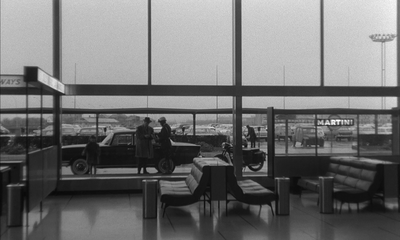 Only, every scene in the screenplay required a very precise setting. 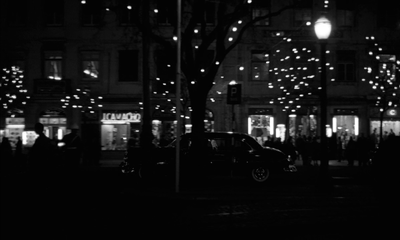 It was necessary to find them all. 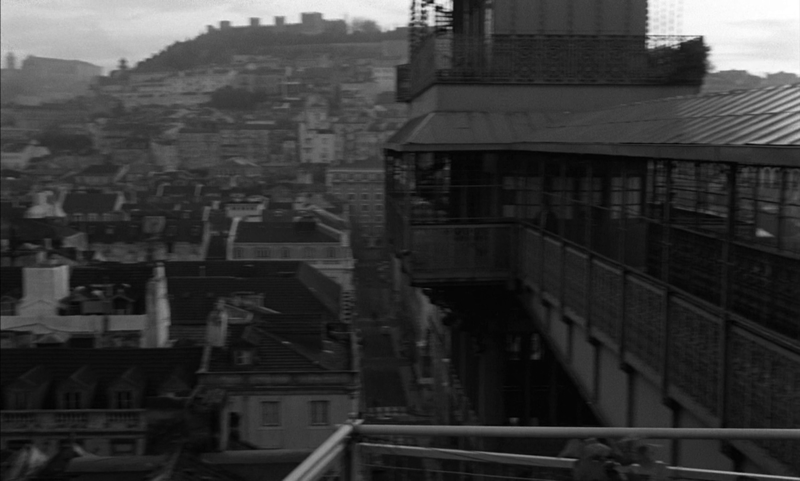 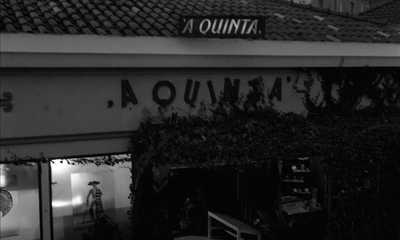 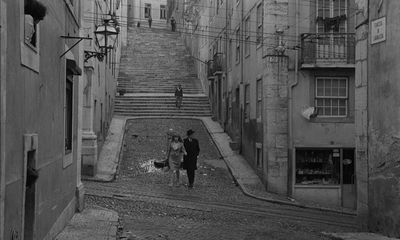 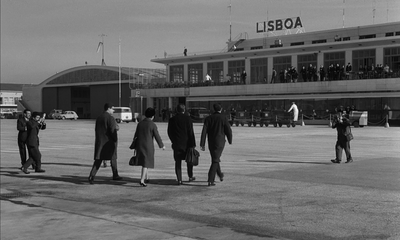 For example, a whole part of the film takes place in a hotel in Lisbon. 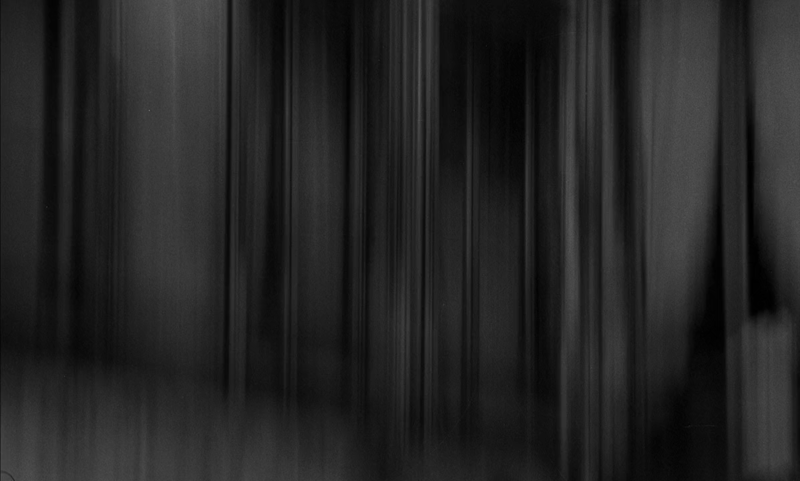 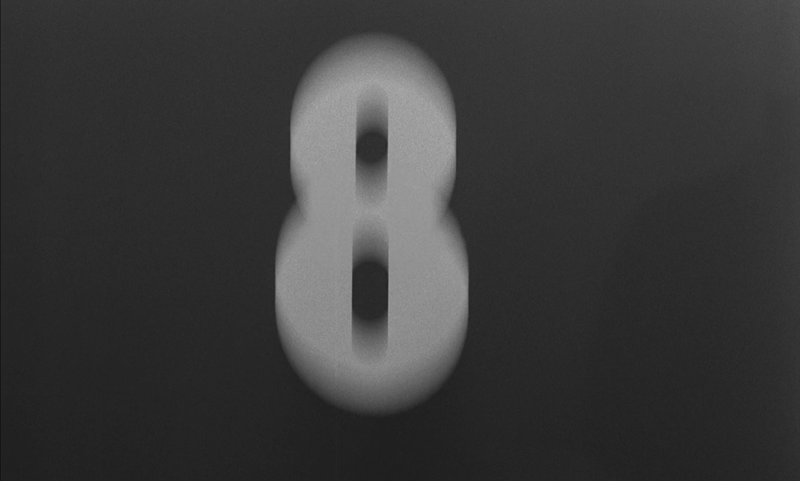 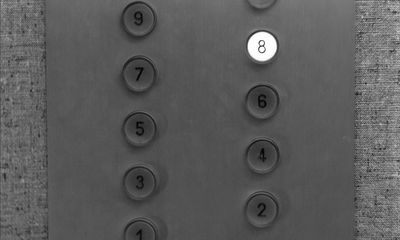 One sees the hall, the elevator, the corridor, the rooms. 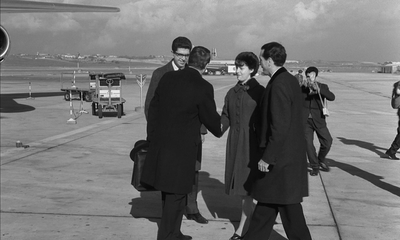 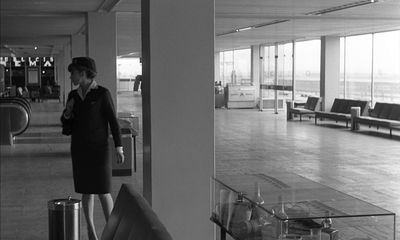 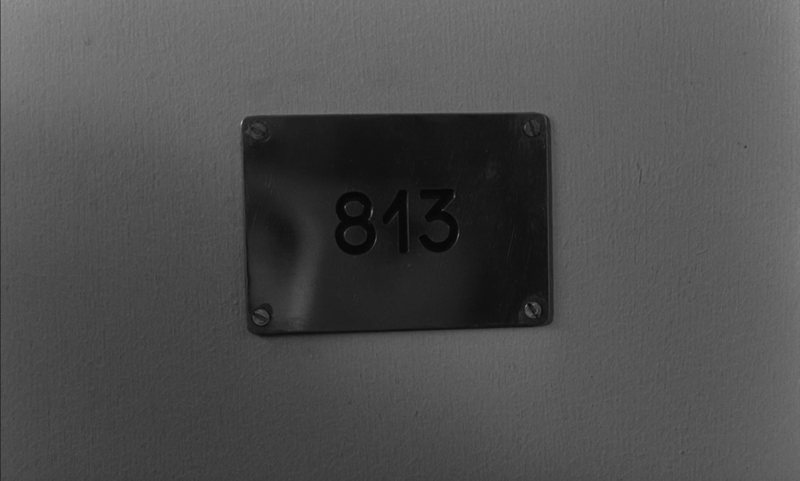 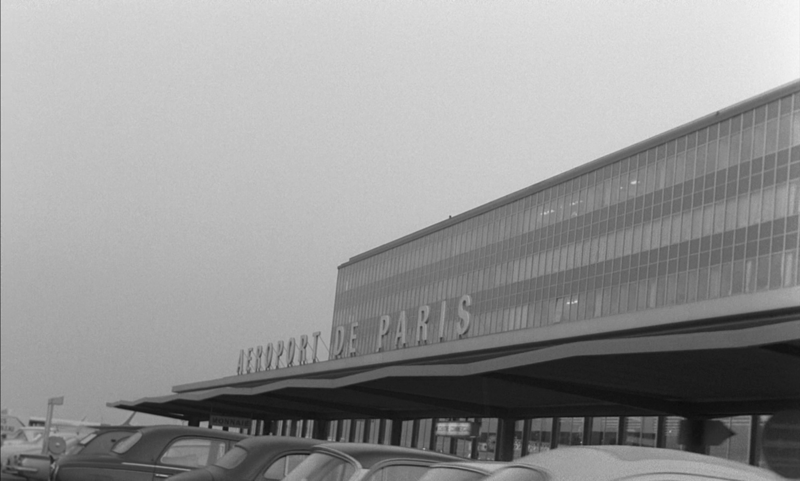 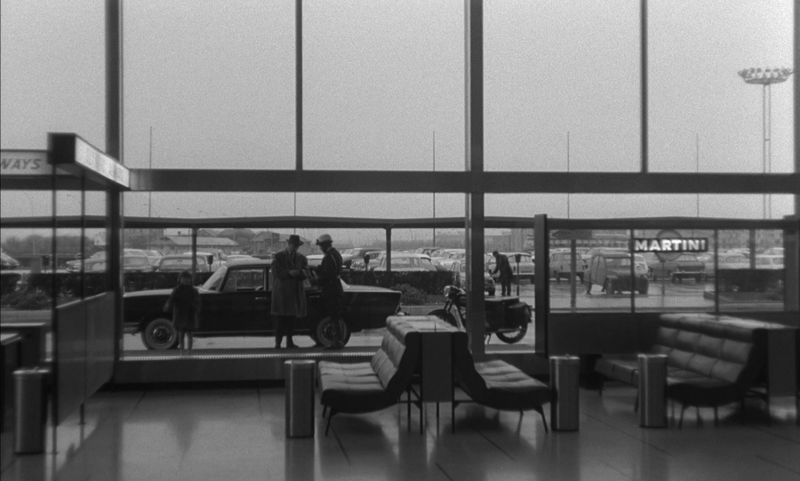 We shot the rooms at Orly, the hall in Lisbon, and the elevator at the Lutétia Hotel in Paris' (Truffaut On Cinema​, p.121). 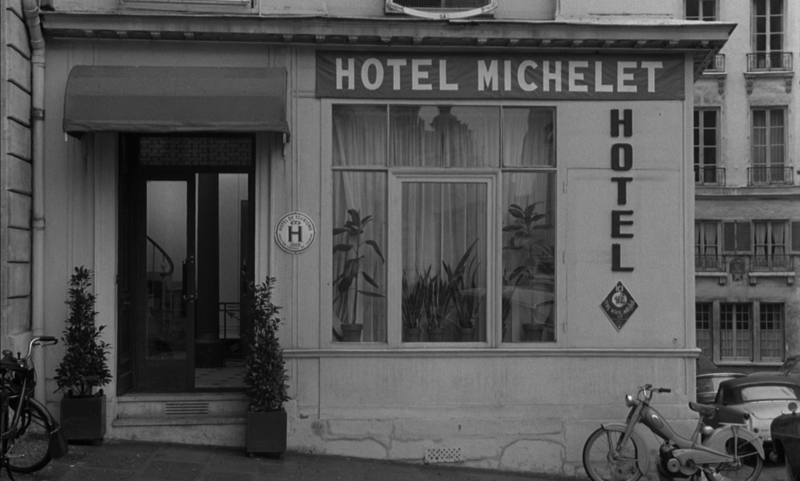 The information in the Toubiana/Baecque biography is more accurate: 'The scenes of the Lisbon hotel where Pierre first meets Nicole, and Lachenay's lecture, were actually filmed at the Hotel Lutetia in Paris. 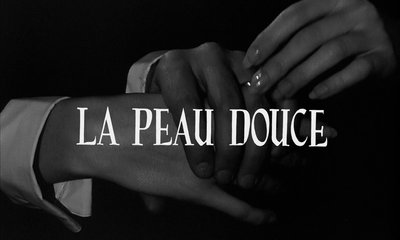 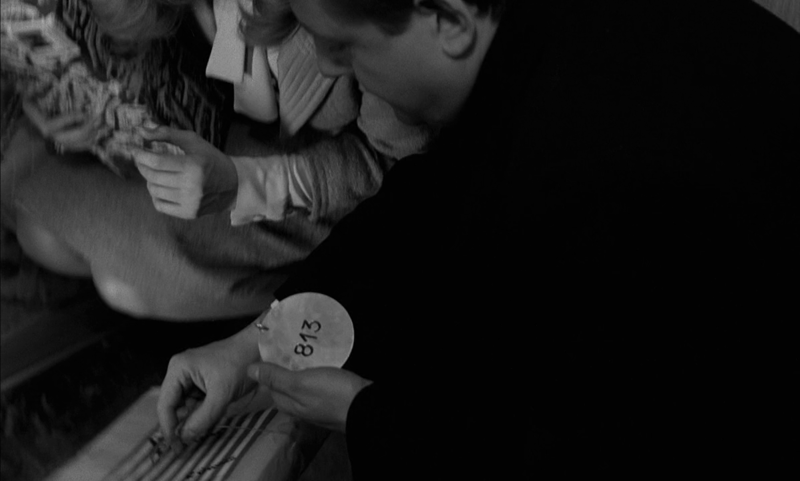 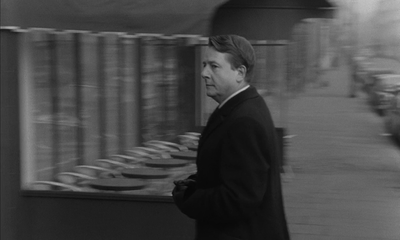 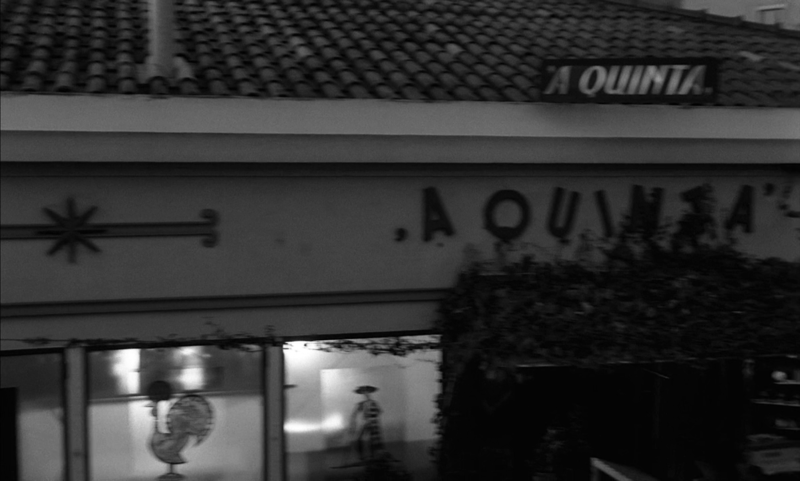 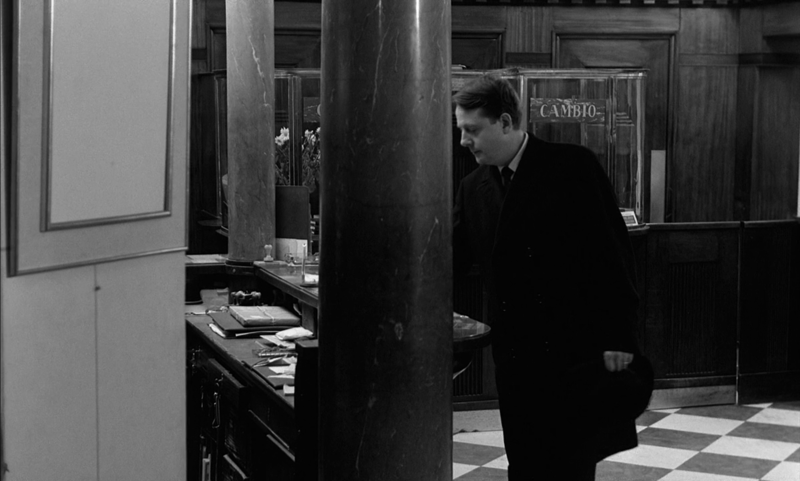 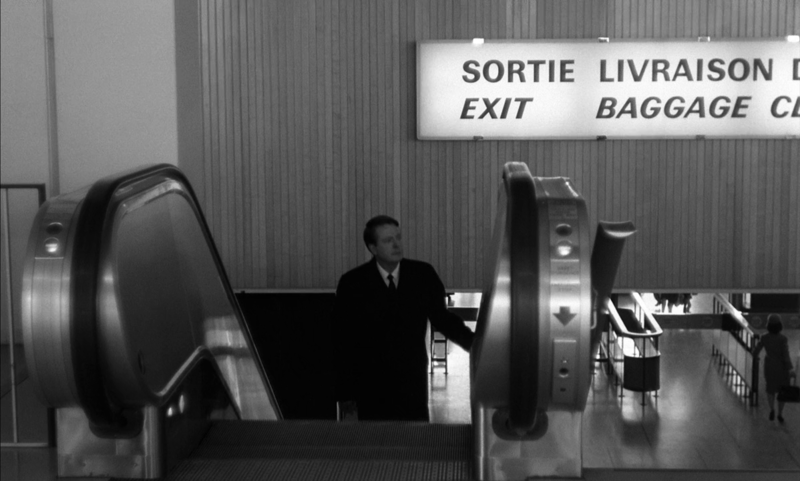 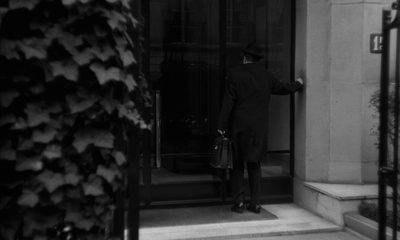 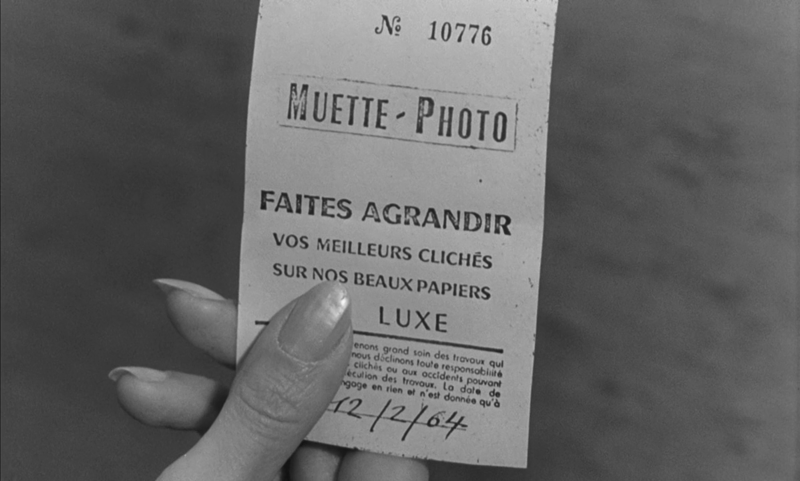 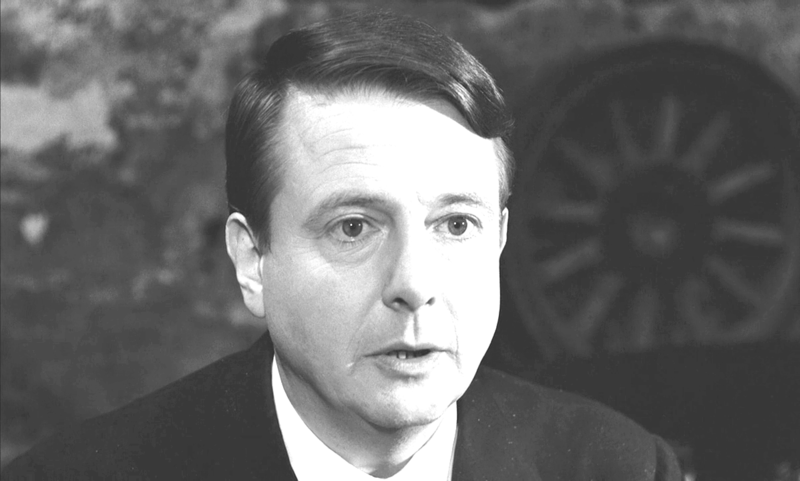 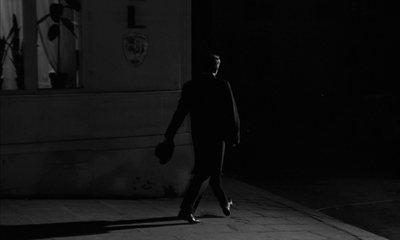 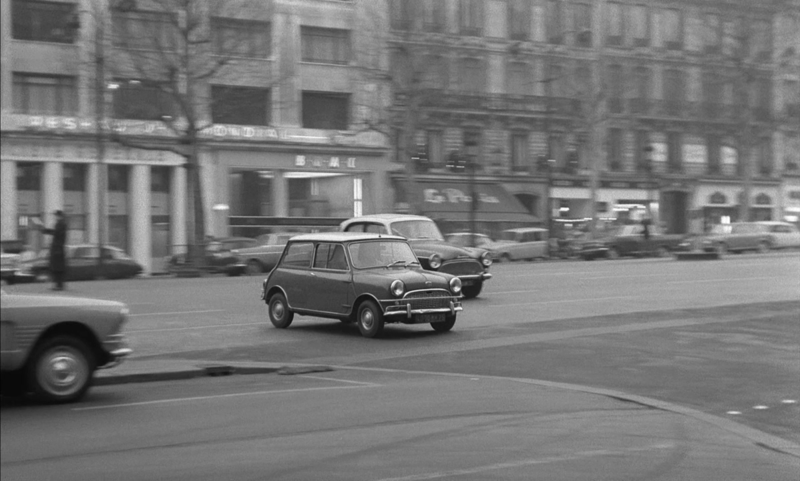 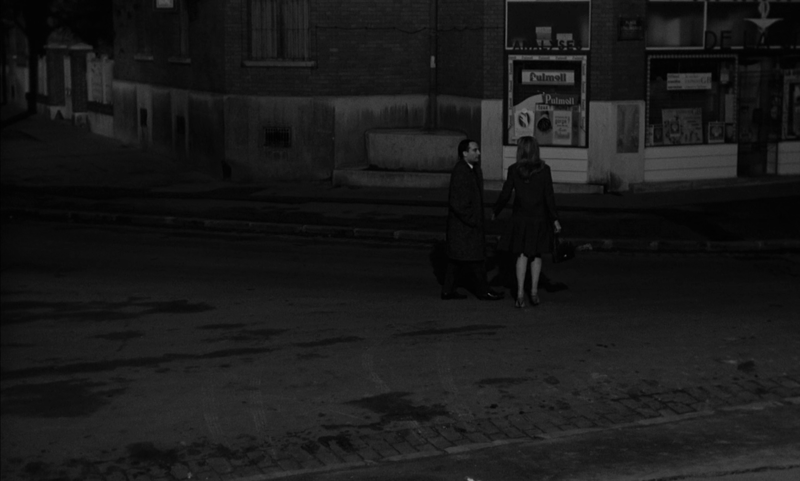 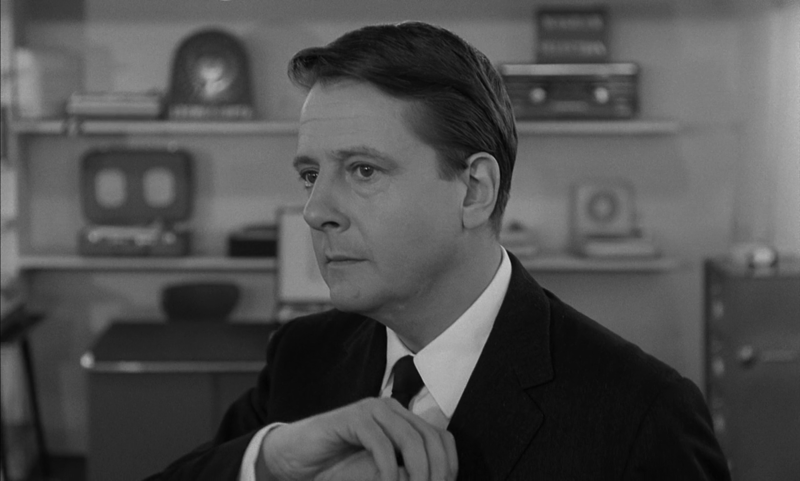 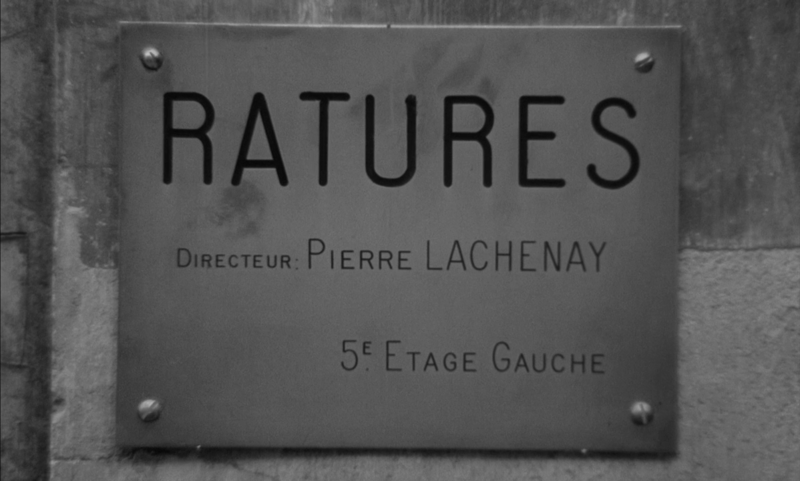 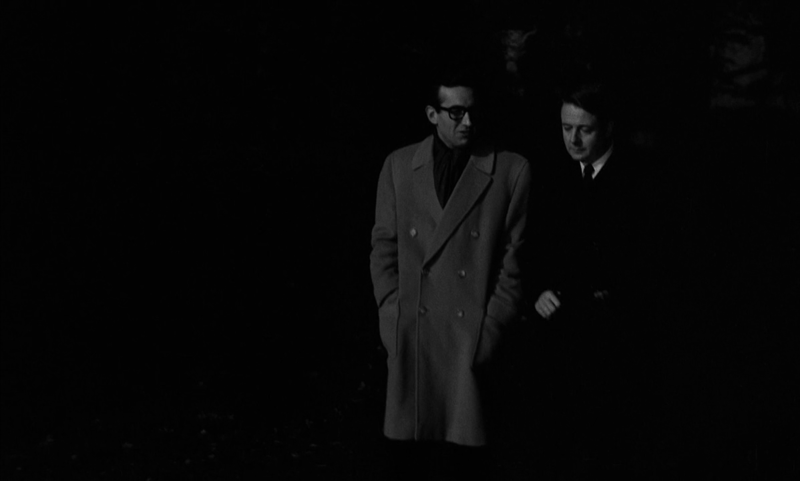 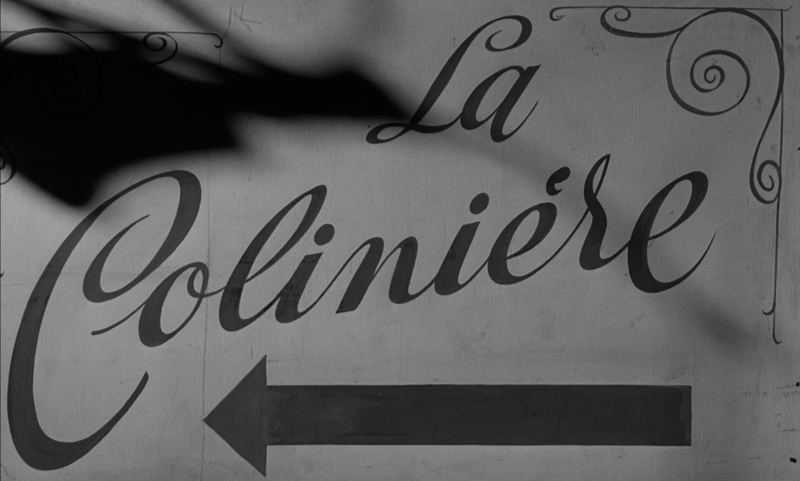 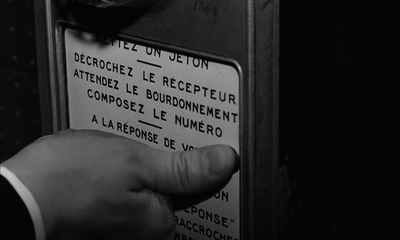 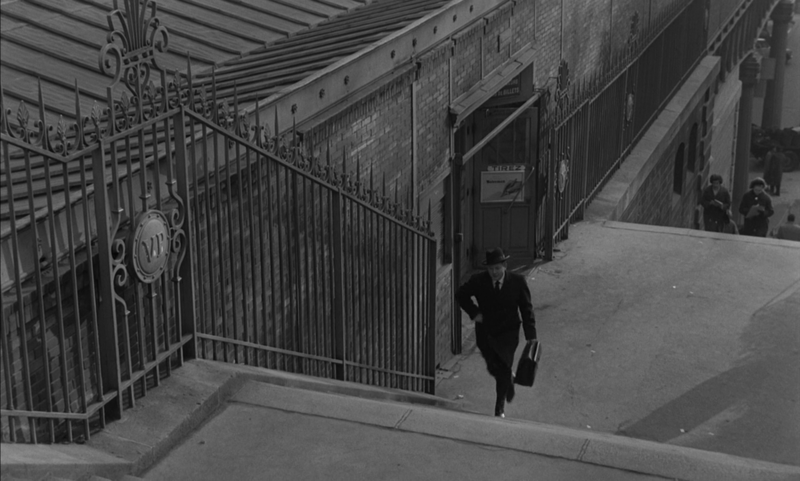 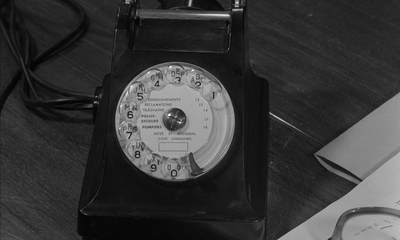 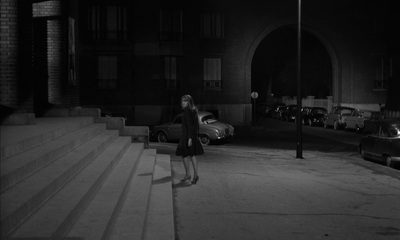 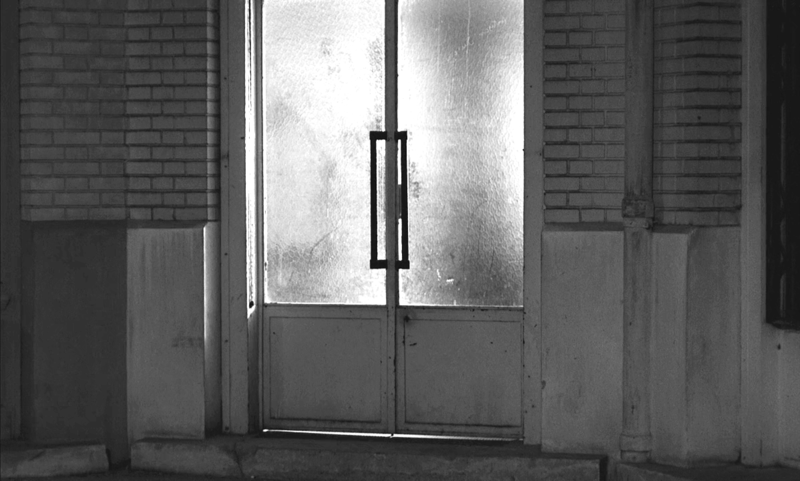 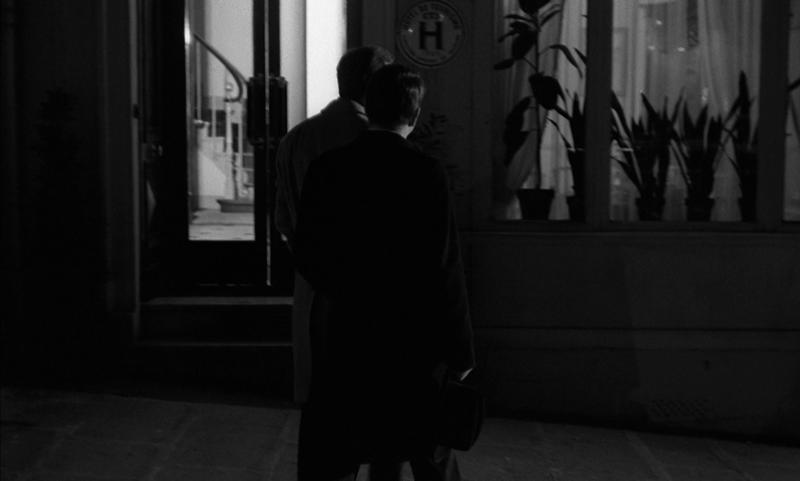 The famous elevator sequences, cut and edited in a Hitchcockian rhythm, were taken at the renowned Roux and Combalusier [sic] elevator factory in Paris' (Truffaut​, p.204). 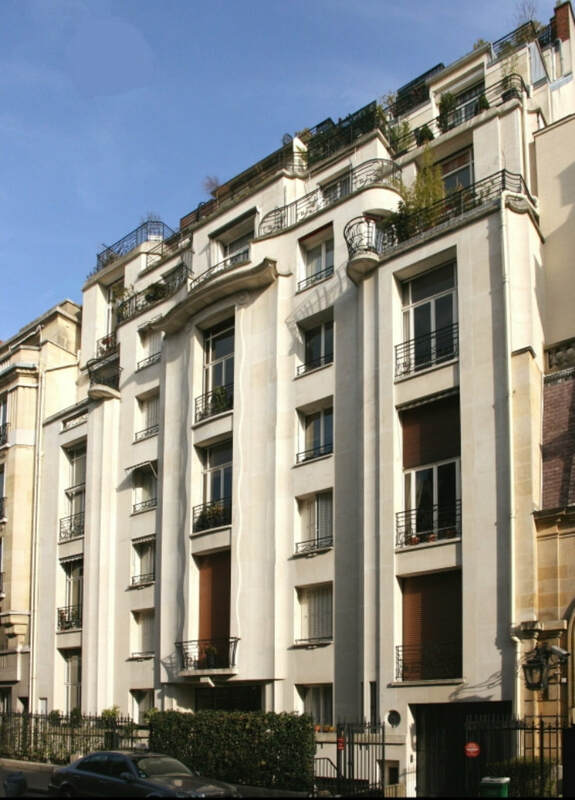 The Hôtel Lutetia was at the junction of the Boulevard Raspail and the Rue de Sèvres, 9e; the Roux and Combaluzier factory was on the Rue Tiphaine, 15e. 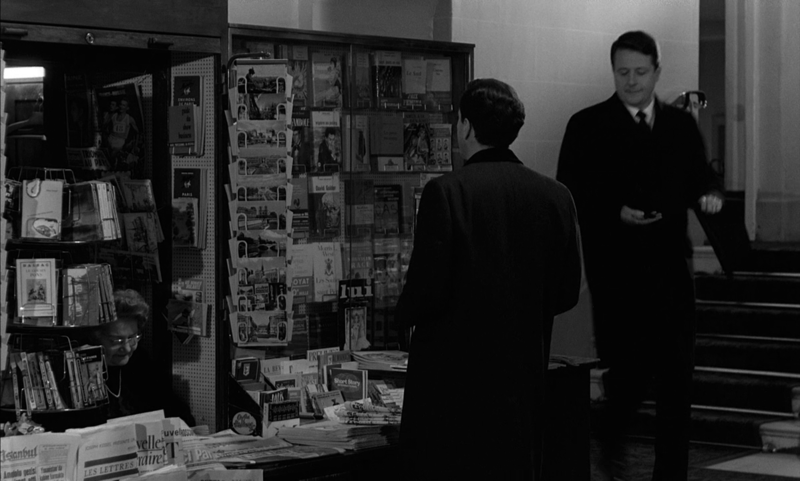 A great deal more time would have been spent here if sequences at the airport's bookshop and cinema hadn't been cut. 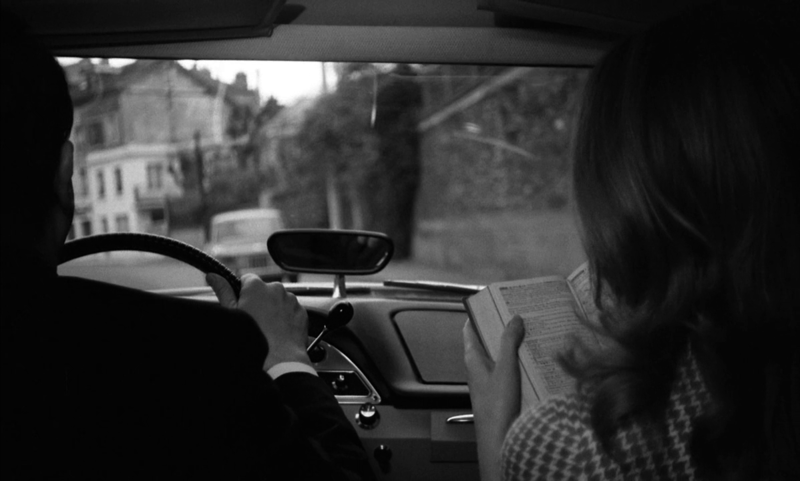 ​A still from the bookshop sequence shows Pierre and Nicole looking for a copy of Maurice Leblanc's 813​, an Arsène Lupin adventure. 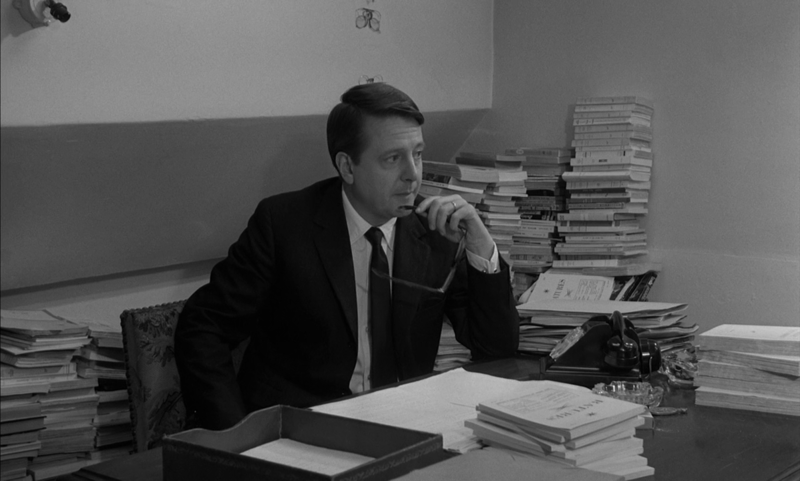 They don't find it but we are offered a number of alternative intertexts, including Zola's Au bonheur des dames, Graham Greene's Ministry of Fear​, John D. Macdonald's A Key to the Suite, Simenon's Maigret et le client du samedi, Kurt Tucholsky's Panter, Tiger & Co​ and Jacques Perret's Bande à part​. 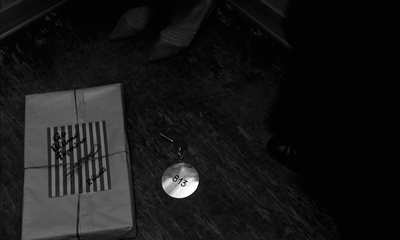 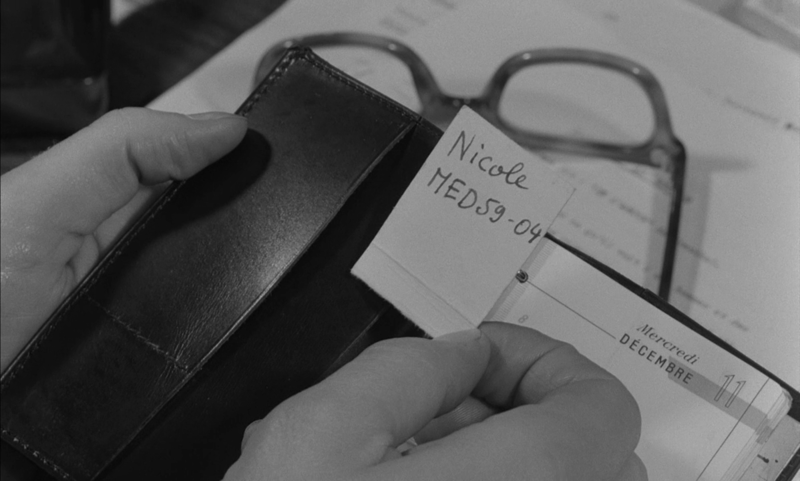 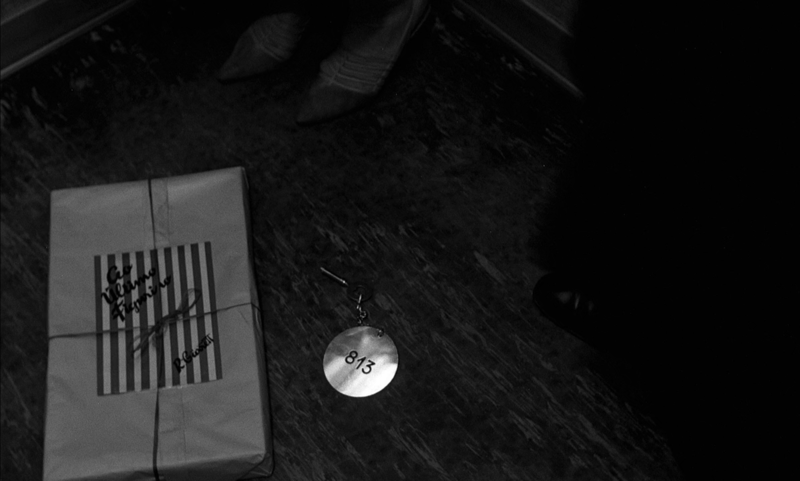 Nicole has her hand on this last book, an allusion to Godard's film of the same name, even though the film has no connection with the book. 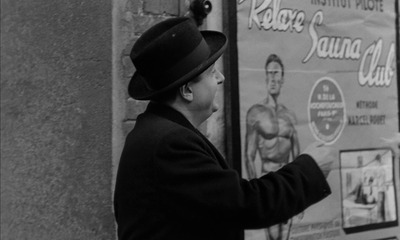 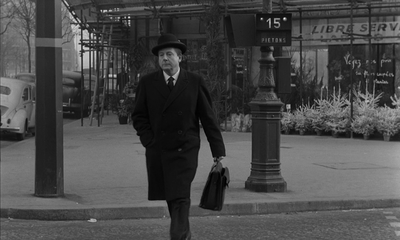 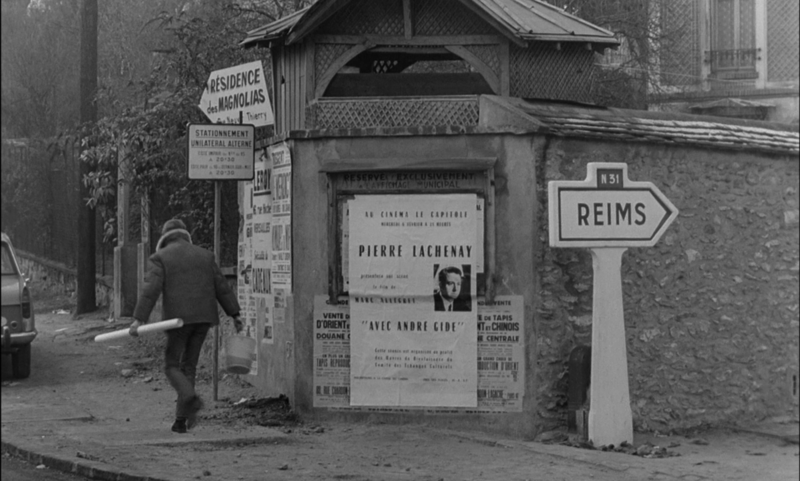 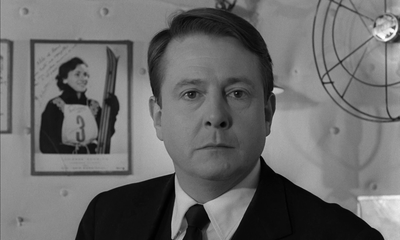 There is also a strategically placed issue of Le Monde et la Vie​ with Hitchcock on the cover. 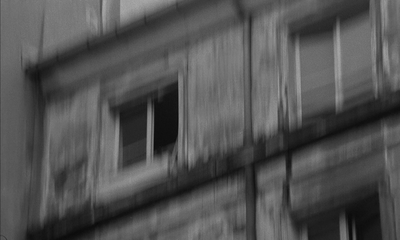 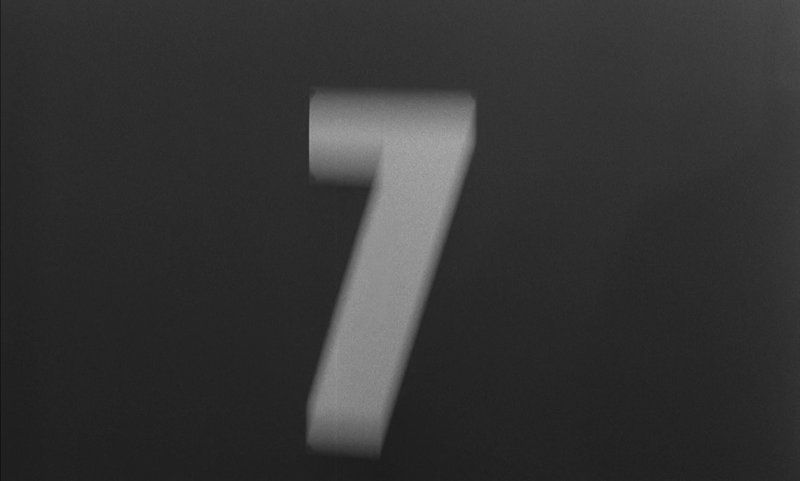 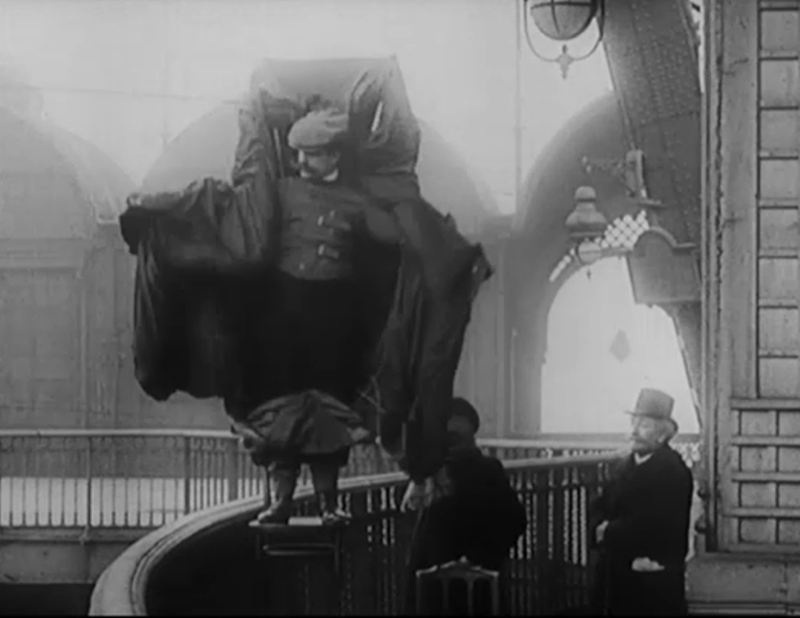 ​The published script includes descriptions of the suppressed scenes, so we know that in the cinema they were shown to be watching Nicole Vedrès's 1947 montage-film Paris 1900​, specifically the section with Franz Reichelt, the man who in February 1912 died after jumping from the Eiffel Tower in a parachute suit of his own design. 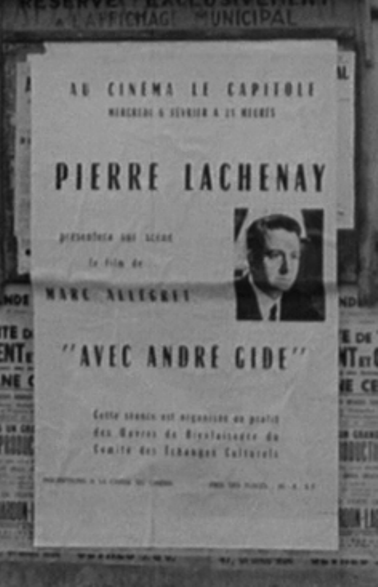 Pierre make a facile and erroneous remark about Reichelt being 'one of the first victims of cinema'. 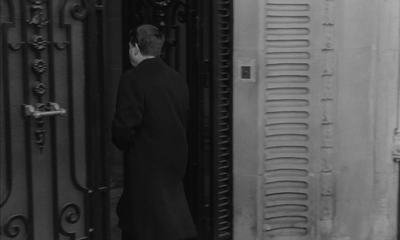 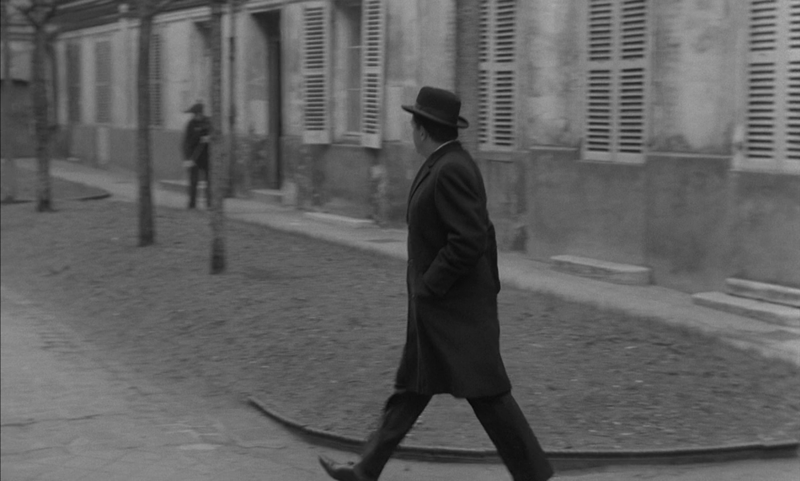 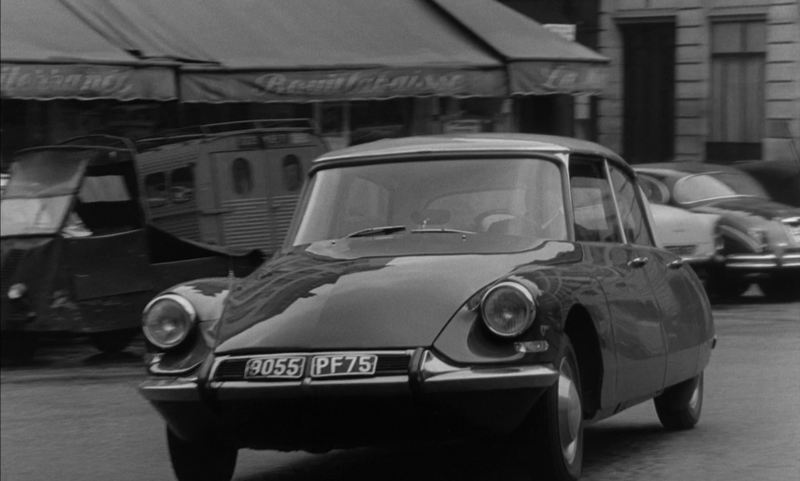 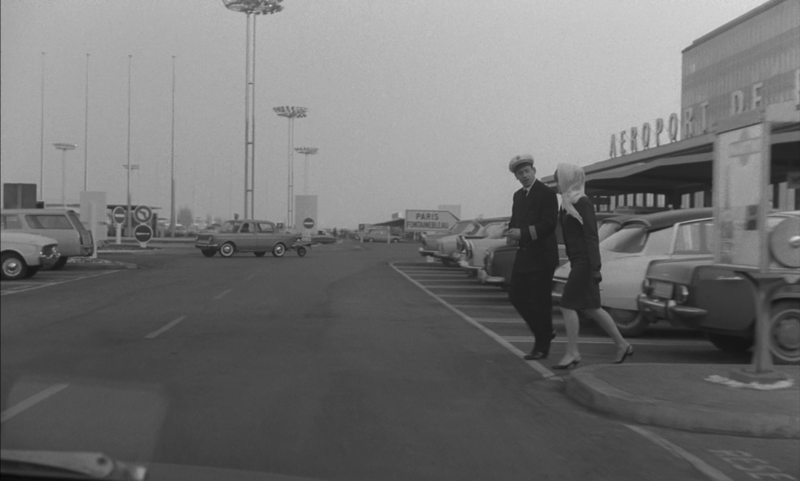 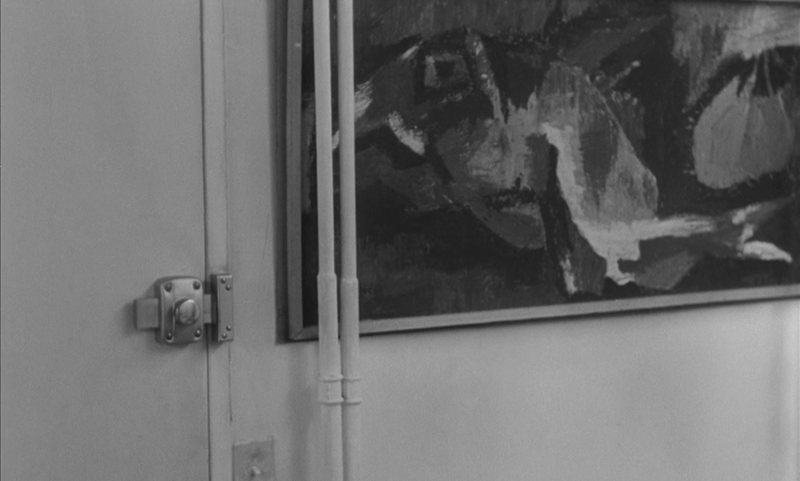 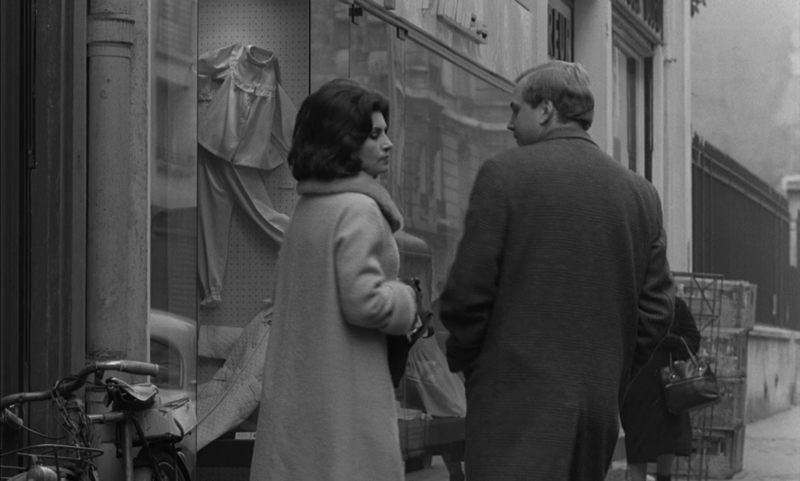 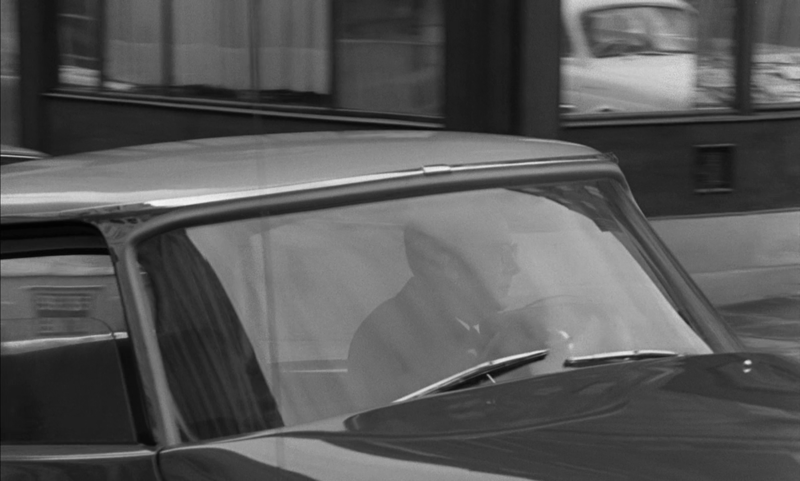 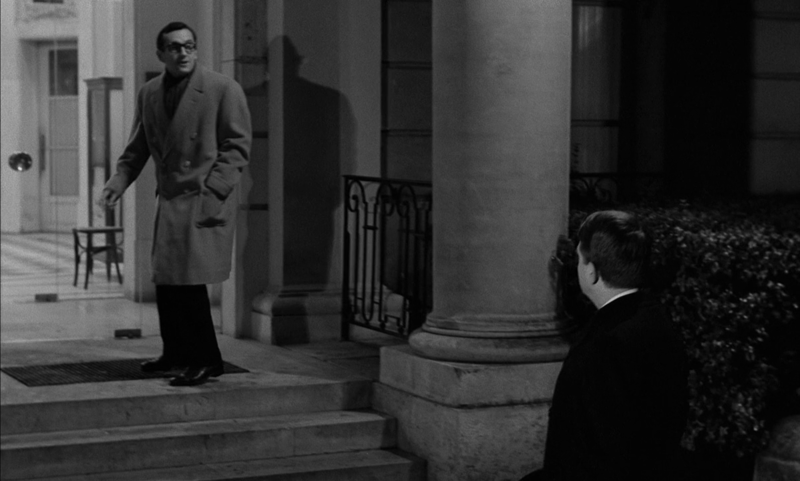 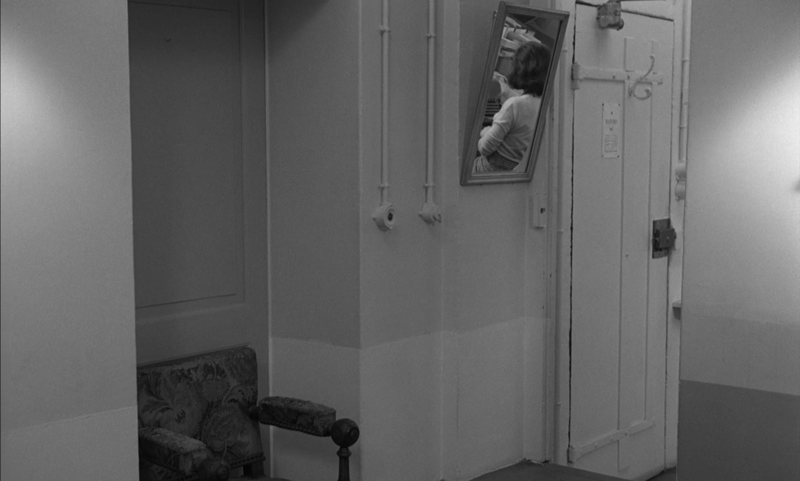 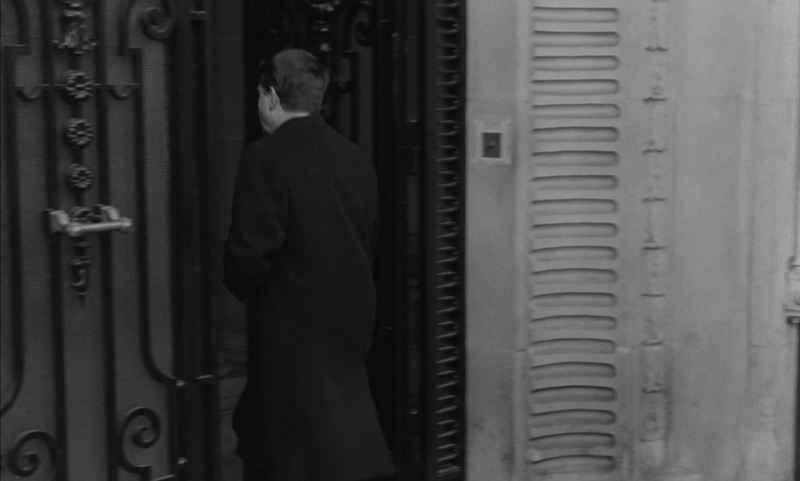 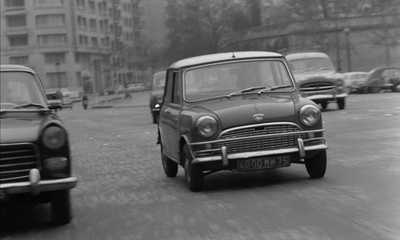 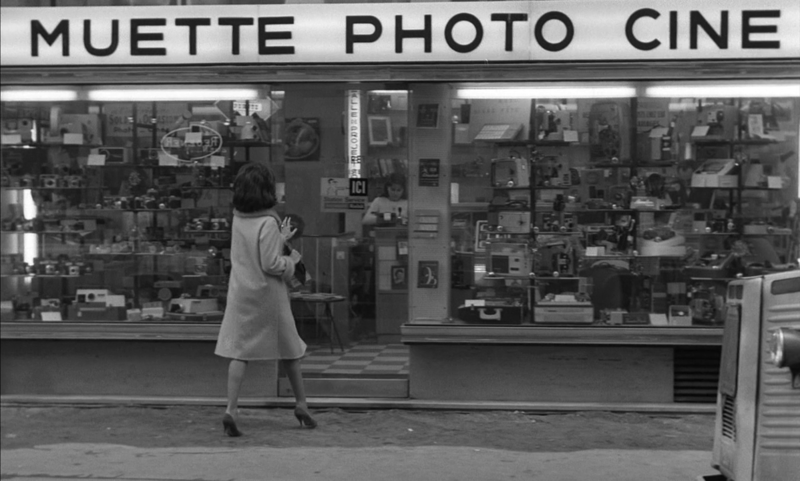 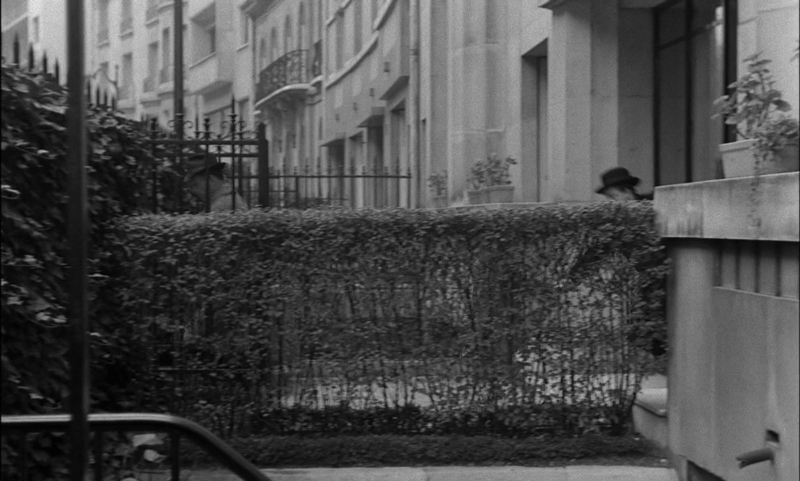 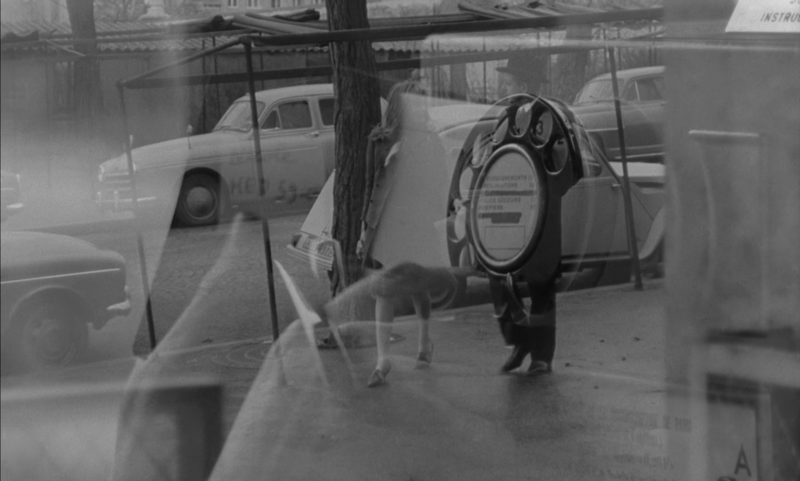 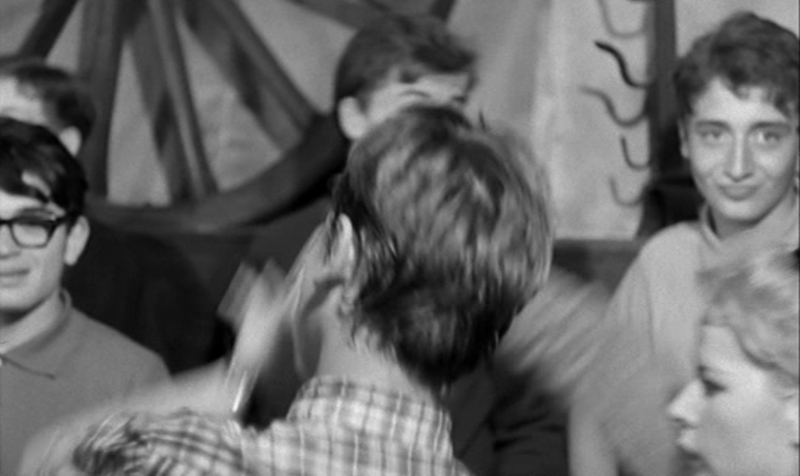 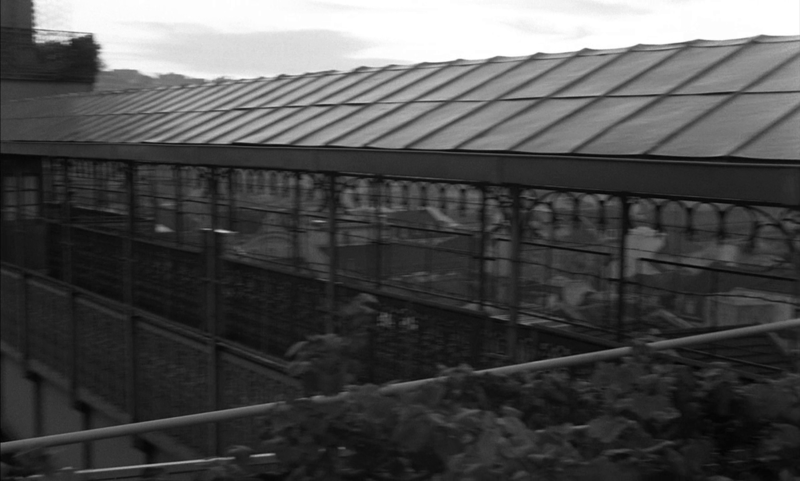 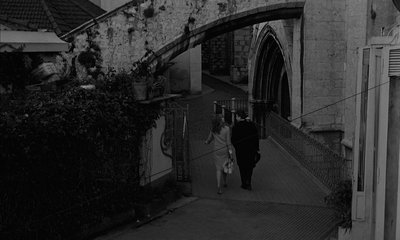 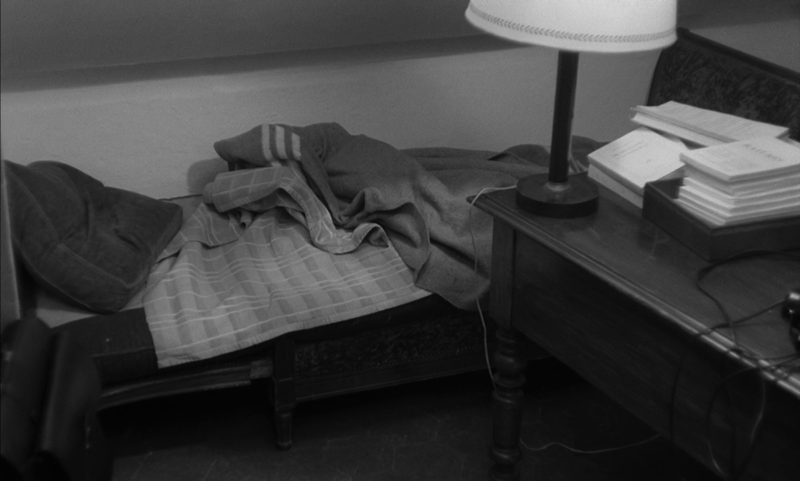 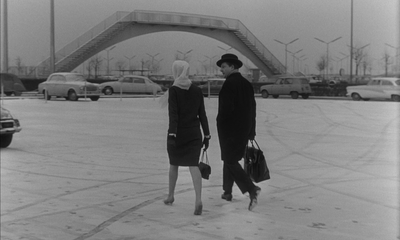 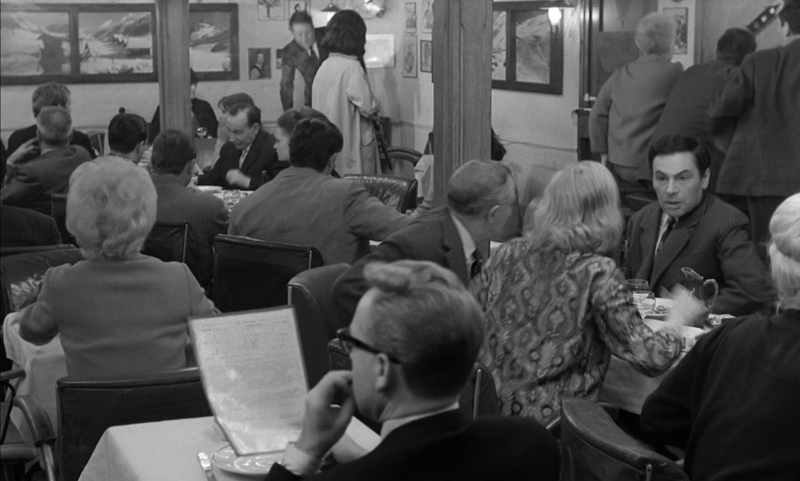 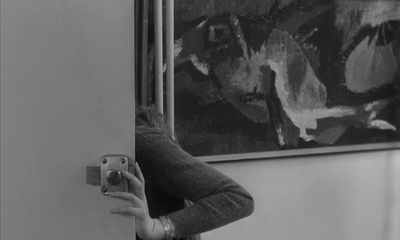 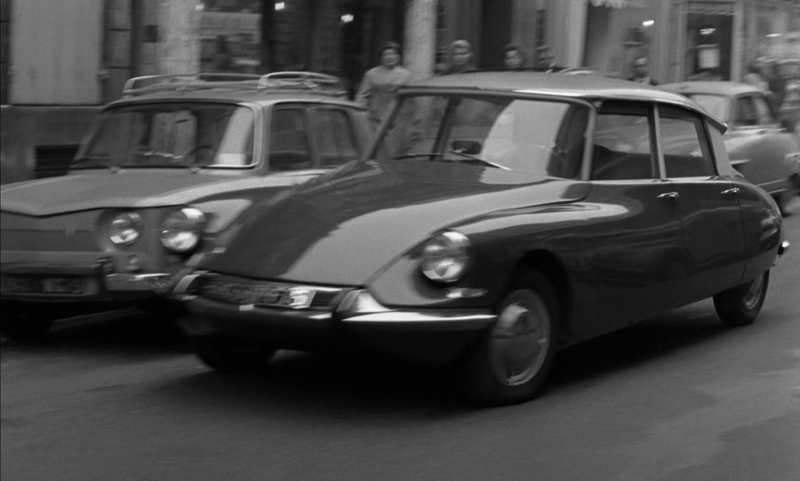 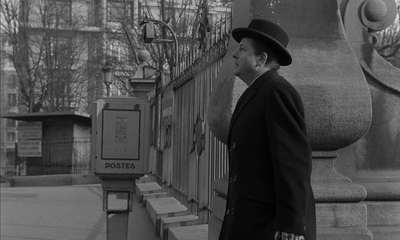 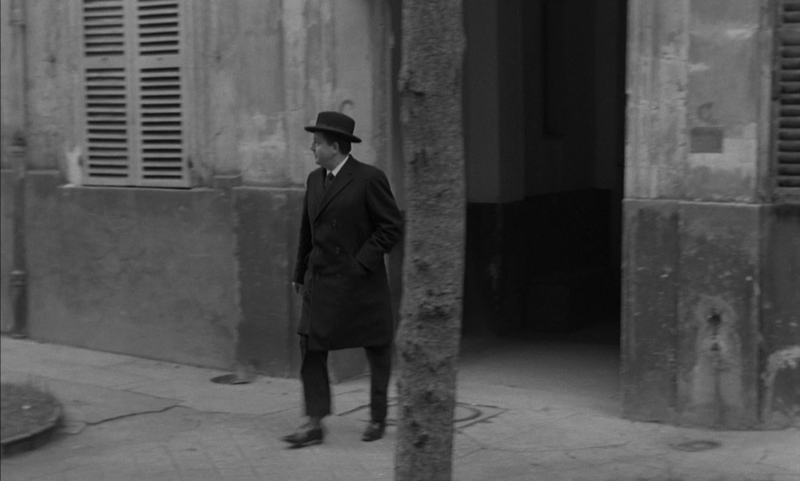 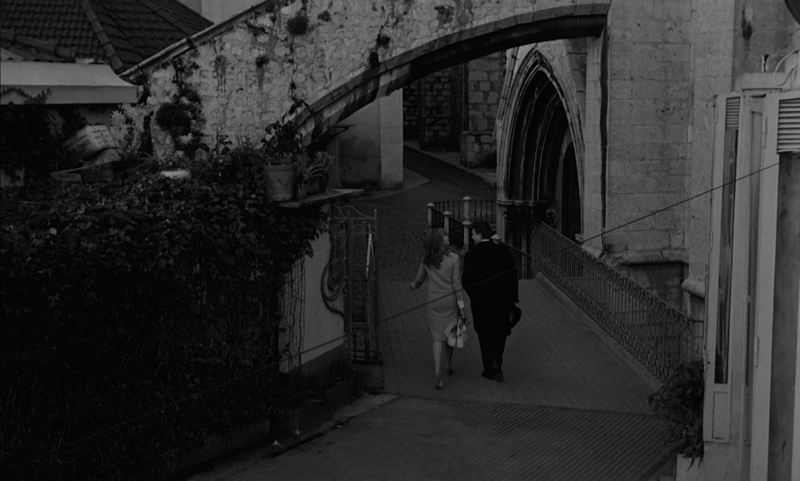 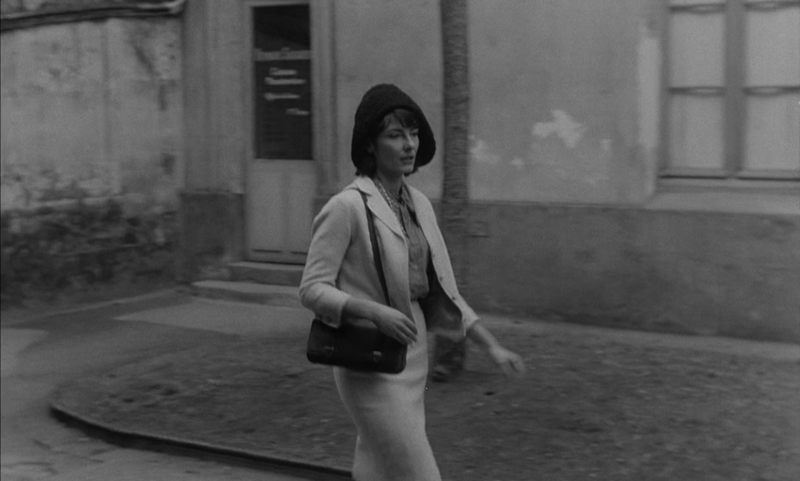 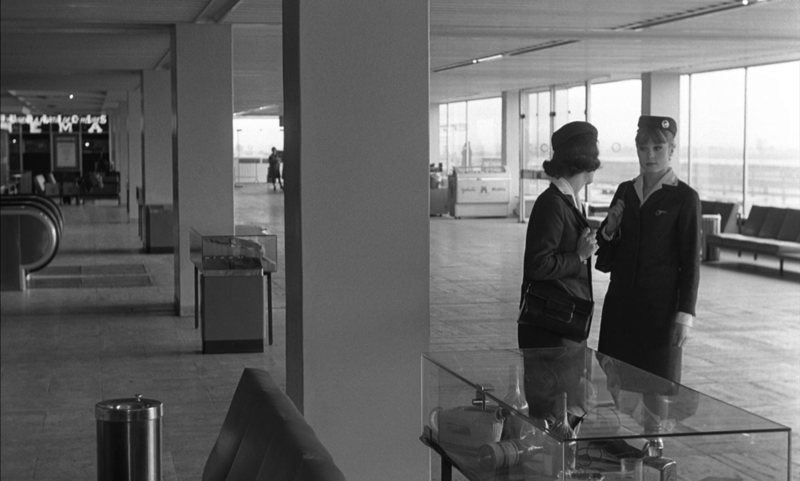 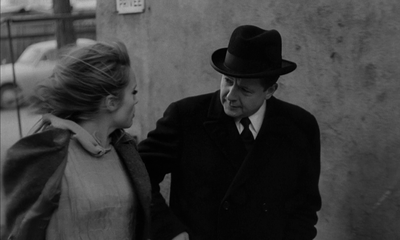 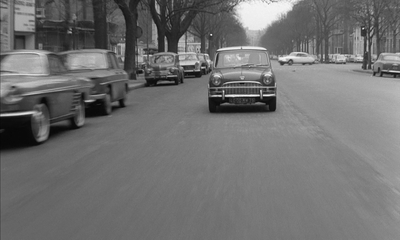 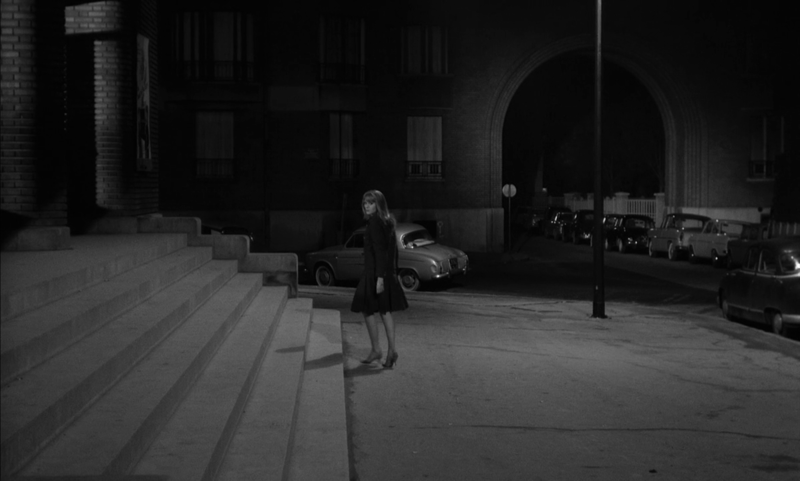 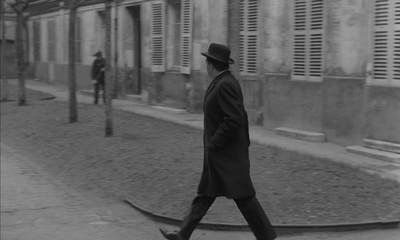 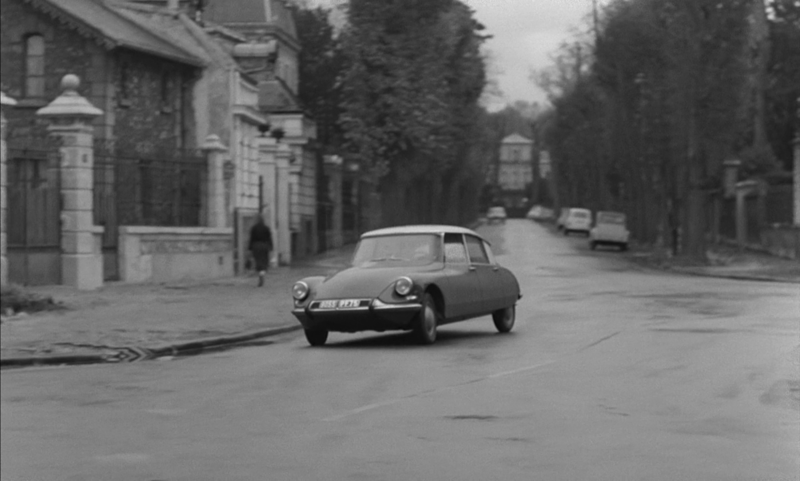 Truffaut had used other elements from Paris 1900 in Jules et Jim​ - see here.